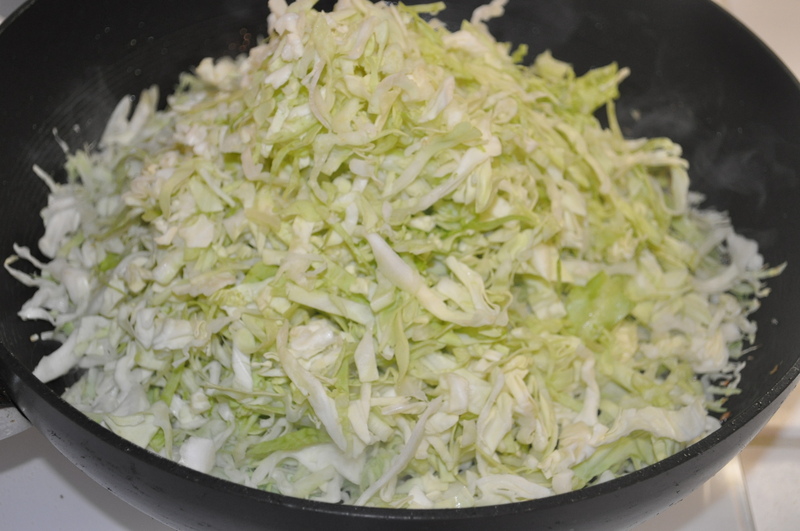 This is a no frill, super easy, everyday cabbage side dish. Few ingredients, few minutes, but a ton of flavor. No further preamble needed. 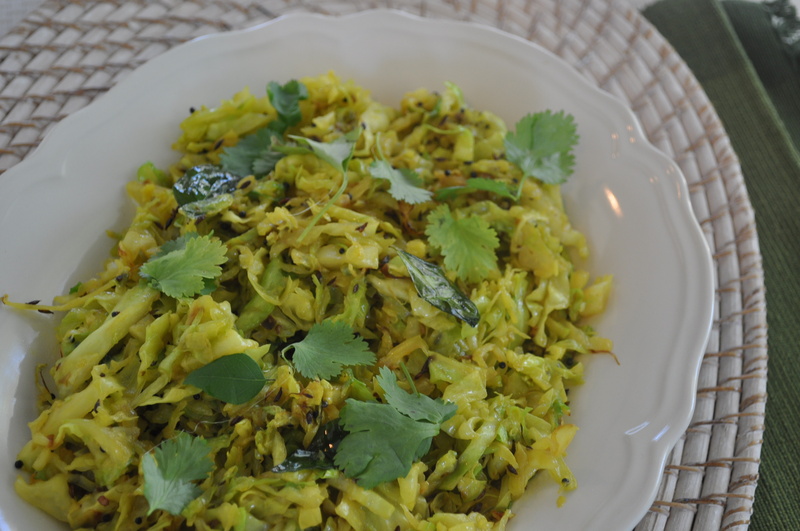 You need some shredded green cabbage (also known as ‘patta gobi’ in Hindi), cumin seeds or mustard seeds, turmeric powder, curry leaves, serrano pepper, oil, sugar and salt. 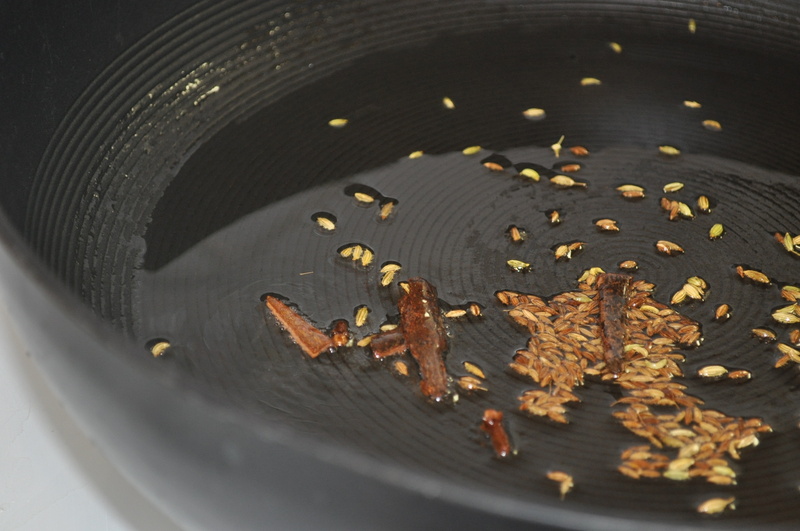 Just heat the oil, add the cumin seeds or black mustard seeds or a bit of both…. 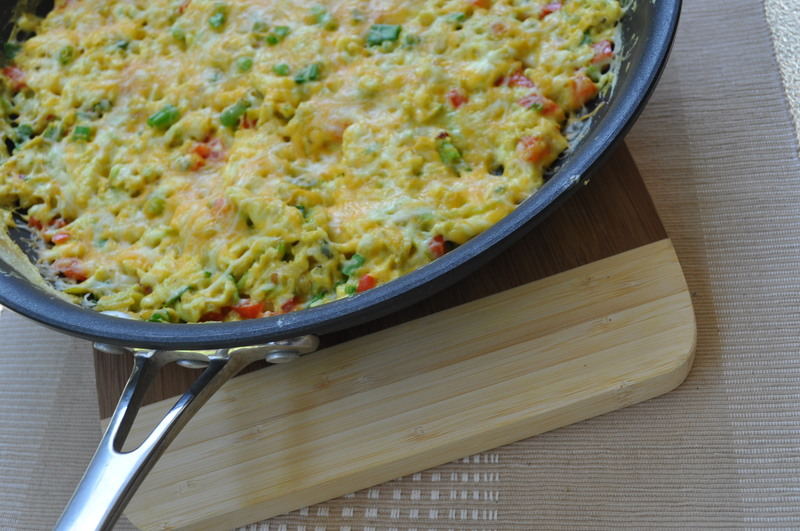 Let these sizzle, crackle, pop…. 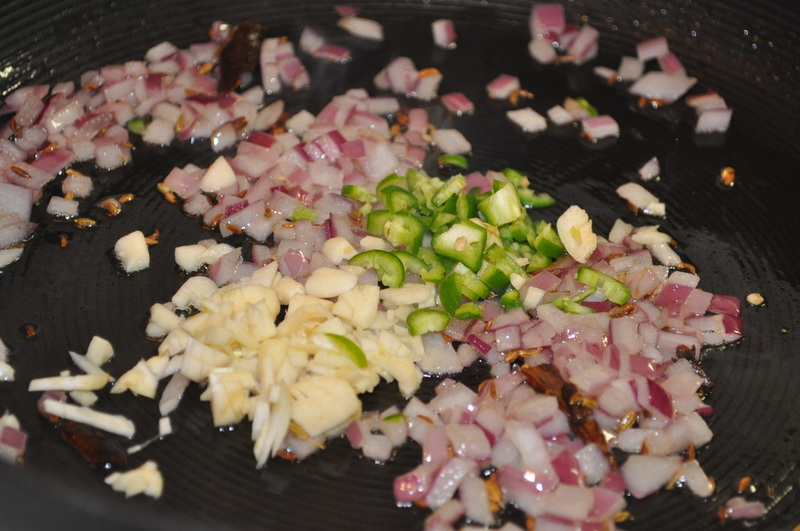 Add the serrano pepper….and curry leaves…. 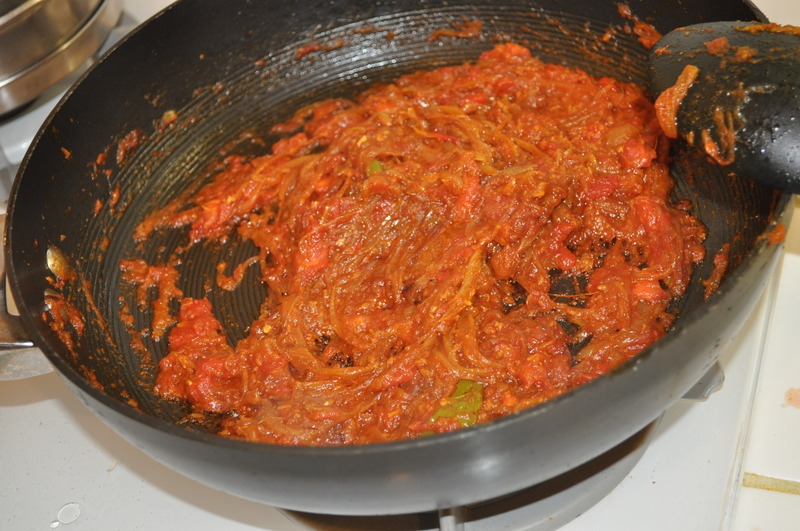 and saute for about 2 more minutes and you are pretty much done. 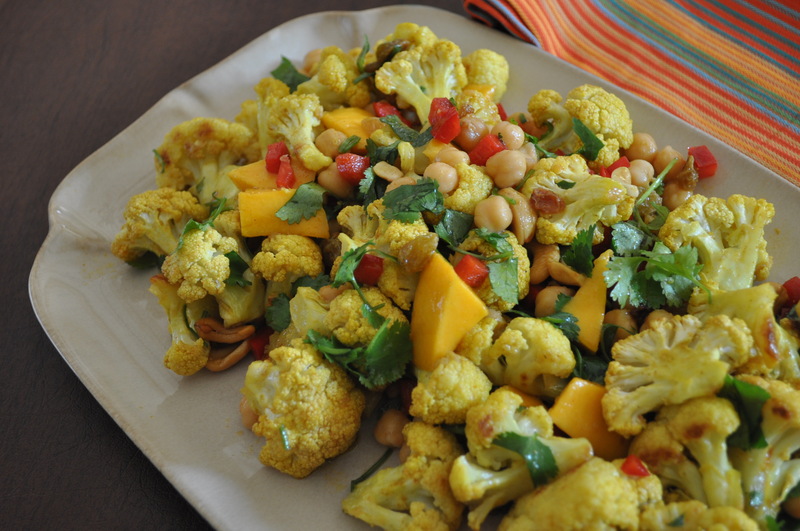 This is truly an everyday vegetable side, which also happens to be tasty and healthy! 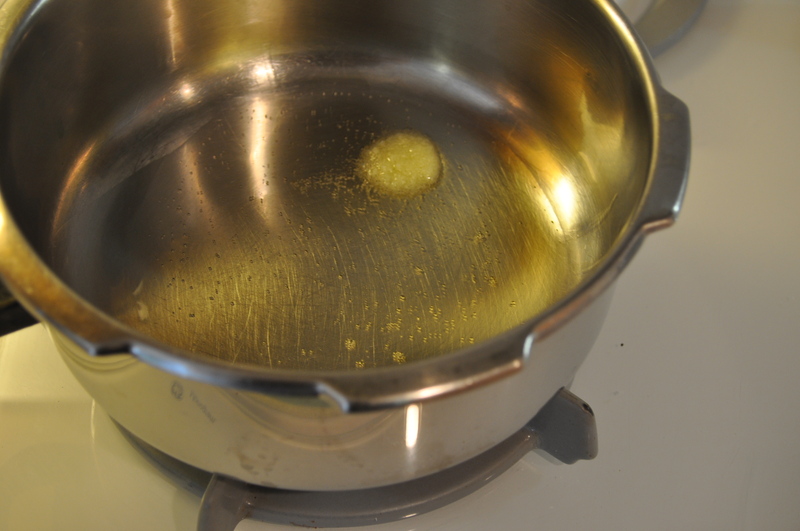 In a heavy bottom pan, heat the oil. 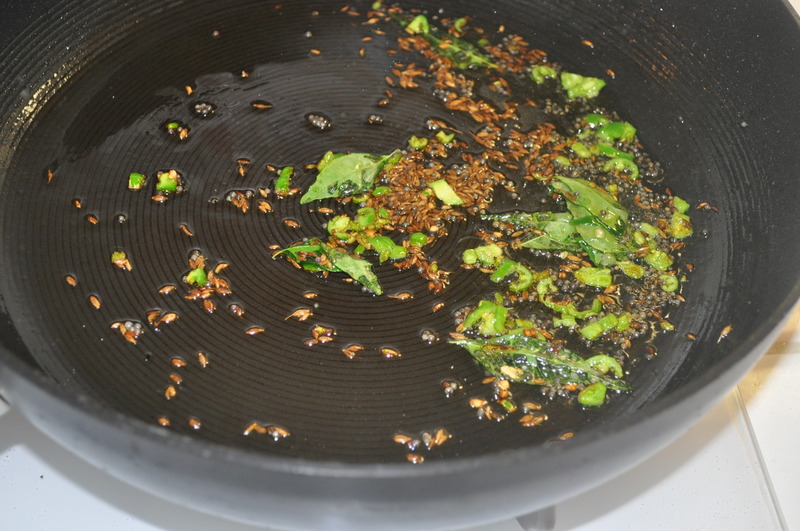 Add the mustard seeds, and when they start to pop add the cumin seeds. 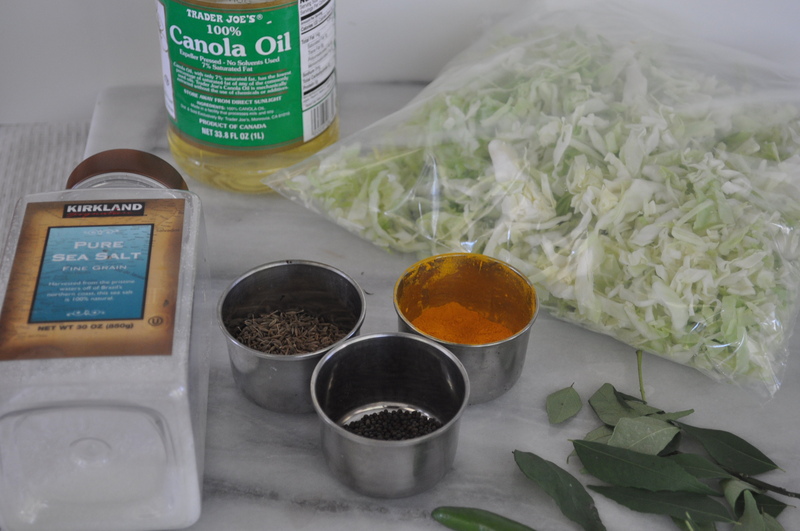 After about 10 seconds, add the minced serrano pepper and curry leaves. 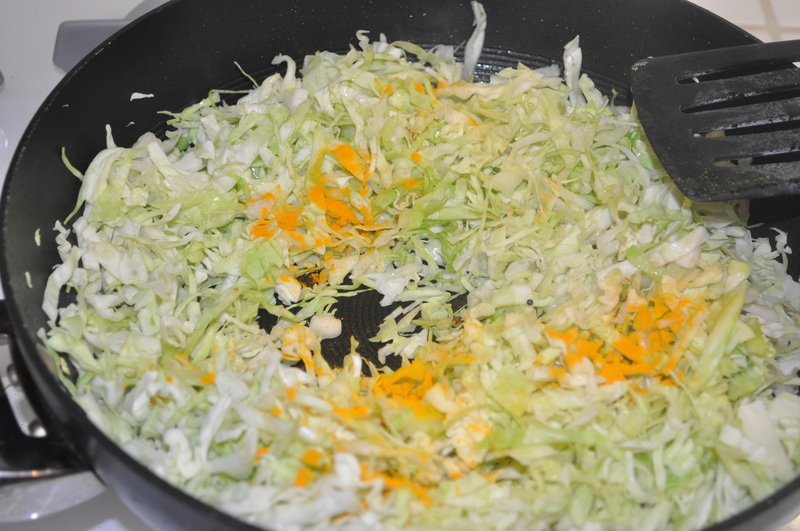 In about 20 seconds add the shredded cabbage. 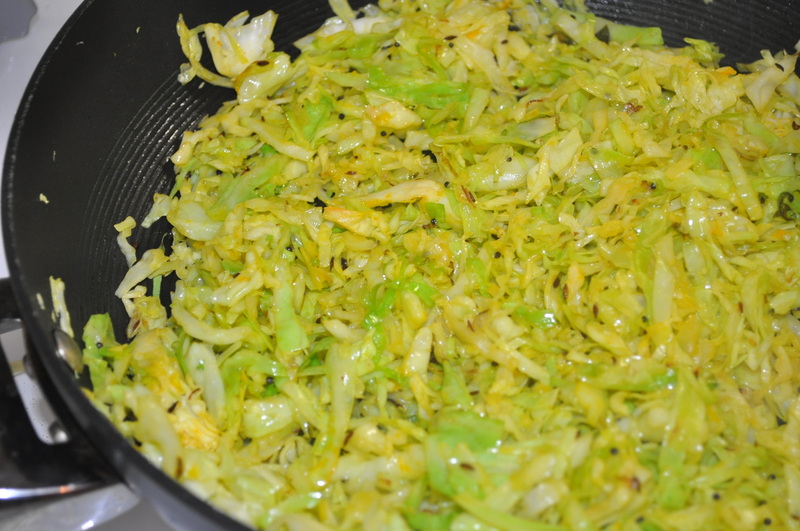 Let this saute and add the turmeric powder. Toss to mix. 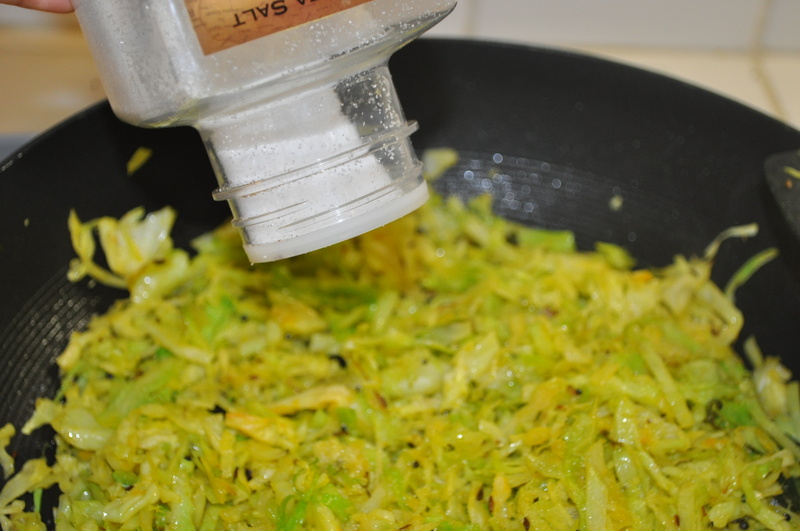 Saute for a minute and add the salt and sugar. 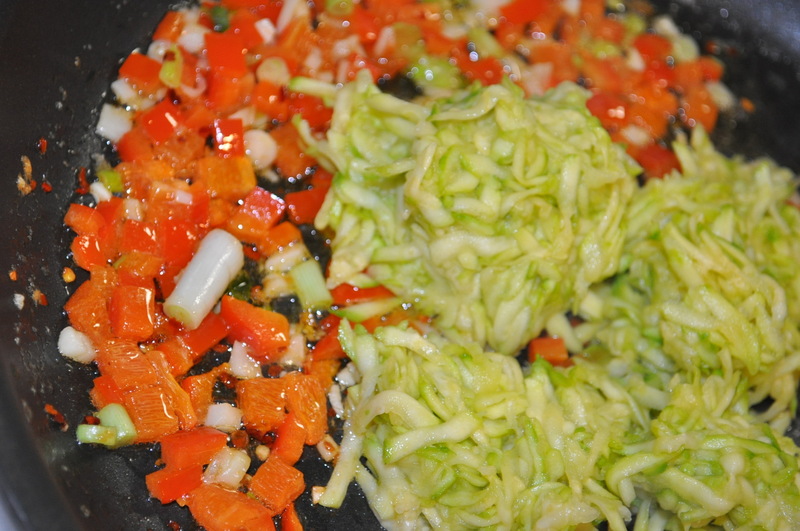 continue to saute and mix. Cook for about 4 minutes on a medium to high flame. Garnish with cilantro. And serve warm with ‘rotis’ (Indian tortillas). I can go for days being a vegetarian, but eggs are in my life for good. 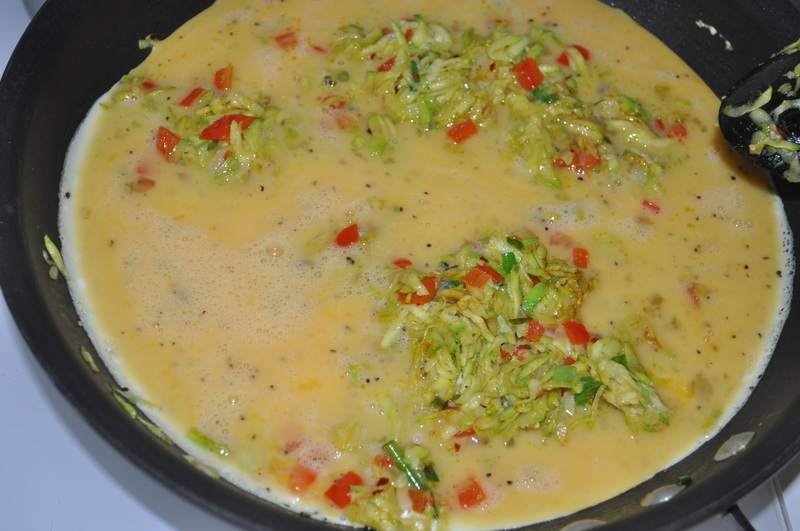 Here is a fairly simple recipe for my favorite way to use zucchini and eggs. 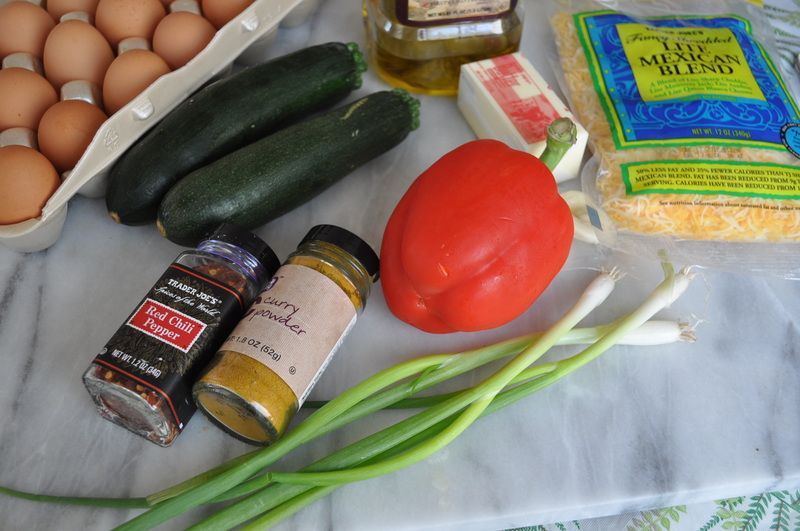 You need eggs, zucchini, red bell pepper, garlic, crushed red pepper, some milk, green onions, olive oil, butter, curry powder, salt and pepper. 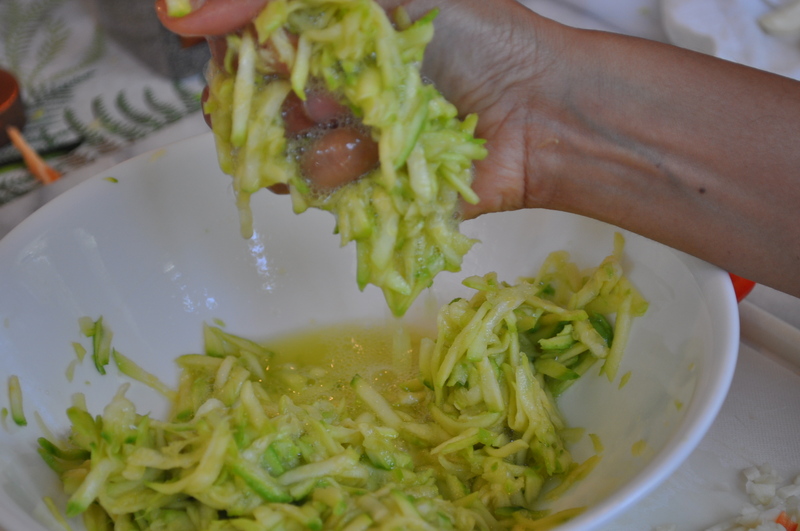 Start with peeling and grating the zucchini…. 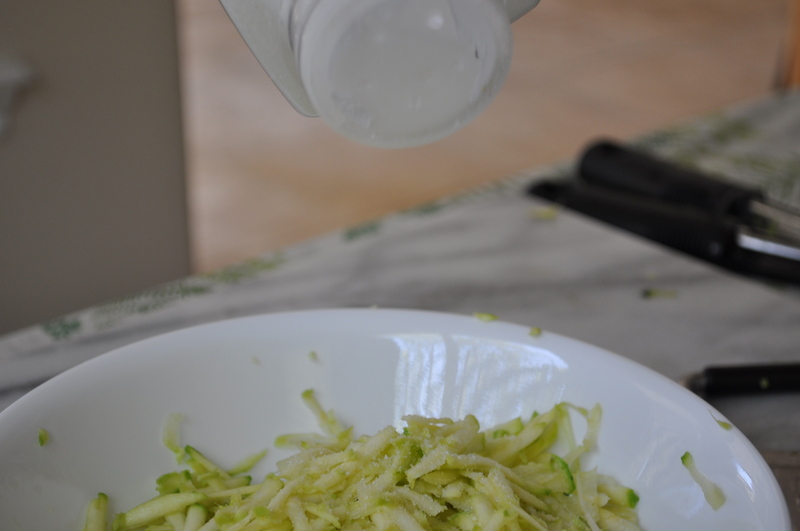 Add some salt to the grated zucchini… gently mix and let it sit for a few minutes…. 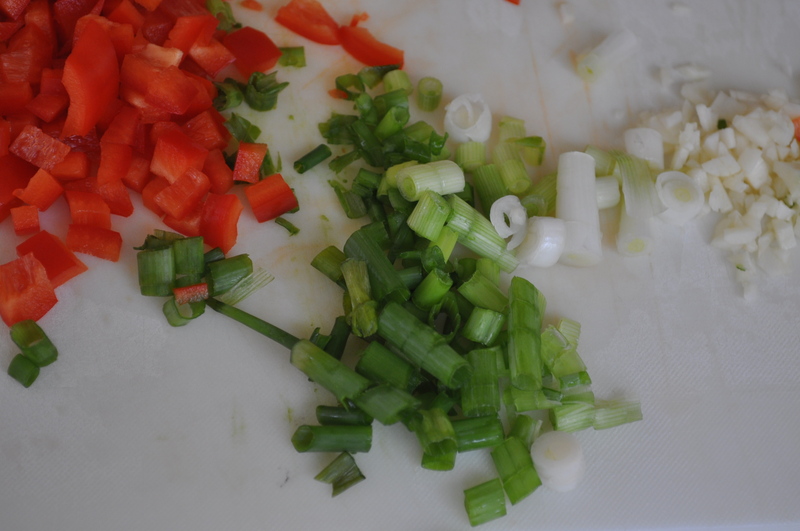 And chop the red bell pepper, green onions and garlic…. 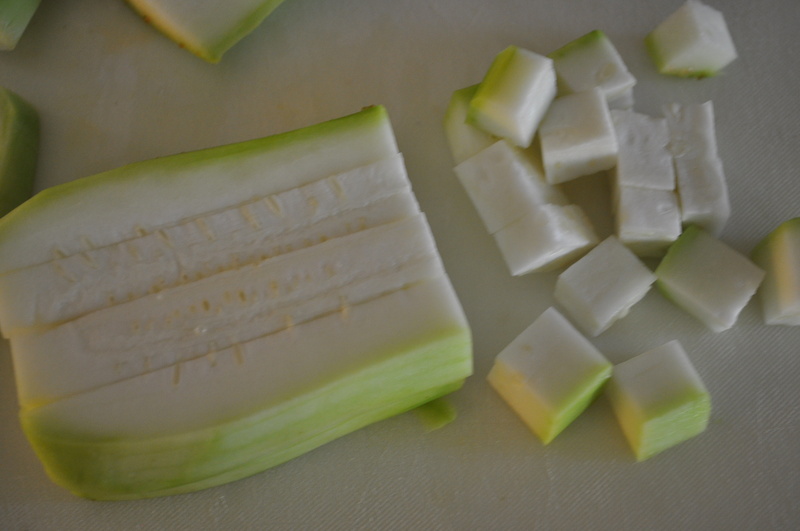 If you did not already know this, zucchini contains a ton of water. 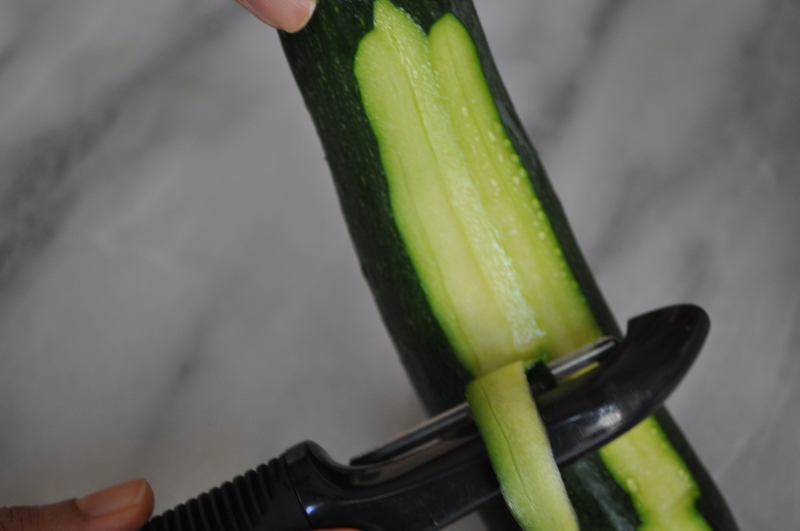 So by the time you reach this point, you will see that the zucchini has released a lot of its water…Squeeze this water out from the zucchini…. 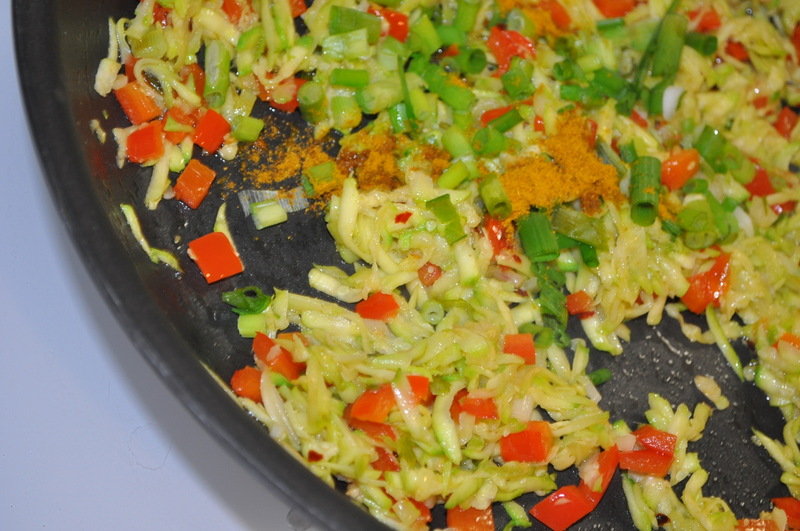 Then add the remaining green onion and curry powder…. 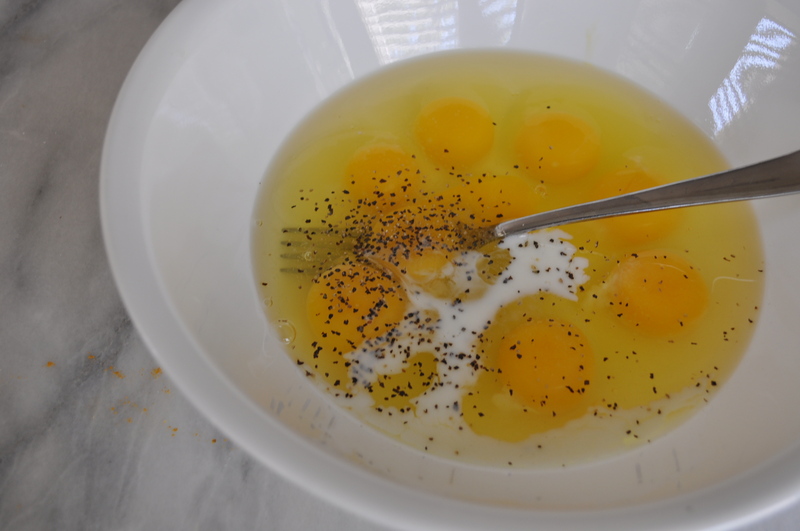 Move the eggs around as if you were making scrambled eggs. 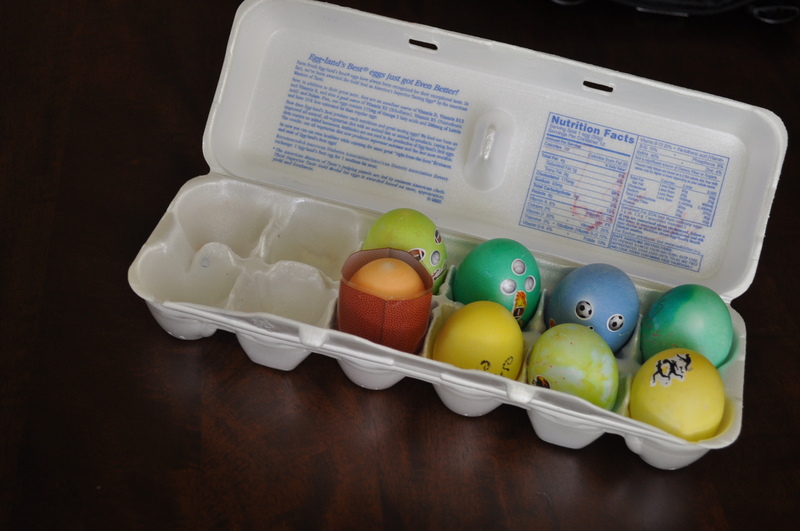 Eggs can toughen up very quickly, so please move the eggs around…there is nothing worse than overcooked eggs! And put it under the broiler for about 3 minutes…till the cheese melts… or till it turns a golden brown…But you got to watch the eggs under the broiler like a hawk. 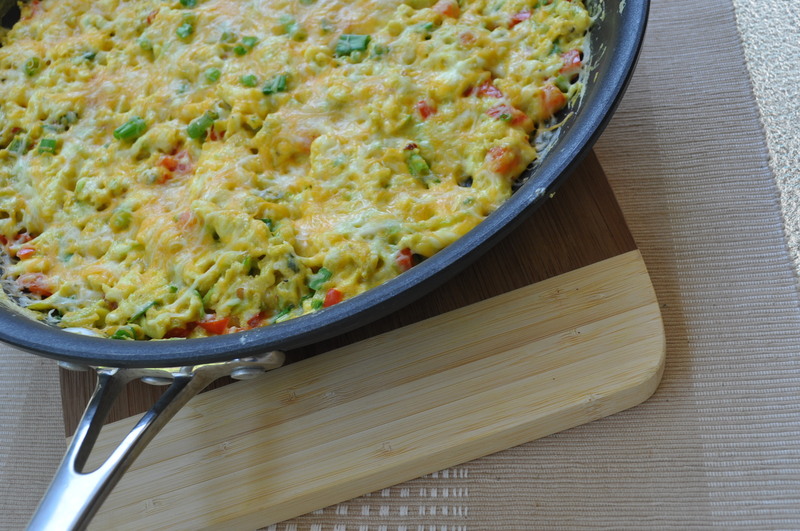 Because in a fraction of a second your frittata could turn rubbery in texture from being overcooked. And, you know, there is nothing worse than overcooked rubbery eggs!!! Serve it right out of the oven with some buttered toast, home fried potatoes,and juice. And some more chai 🙂 Or coffee. Happy Sunday! 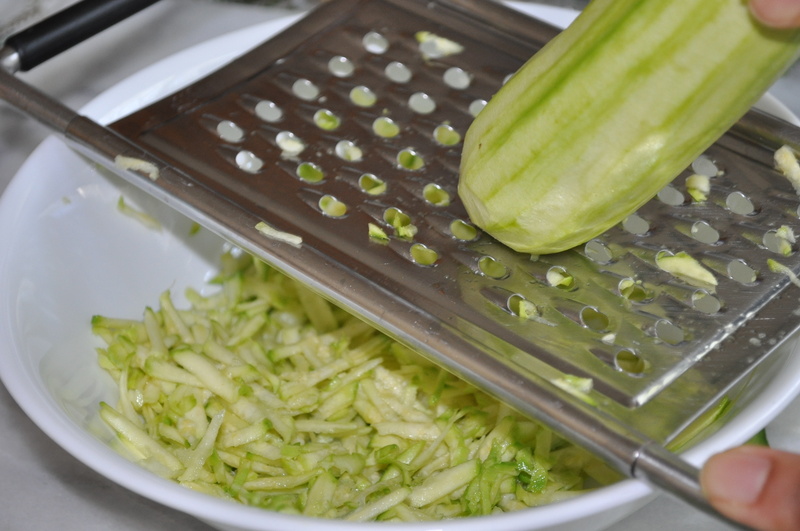 First, peel and grate the zucchini. Add about a 1/2 tsp of salt and let sit for about 10 minutes. 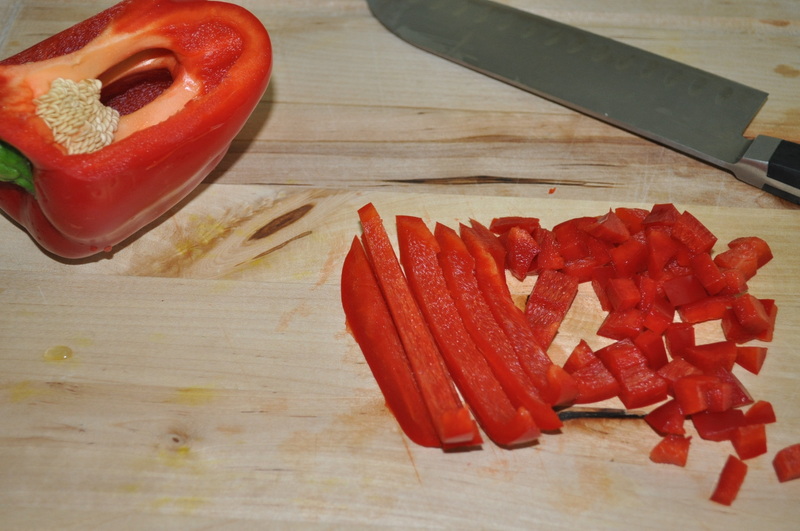 Chop the red bell pepper and green onion/cilantro. Mince the garlic. 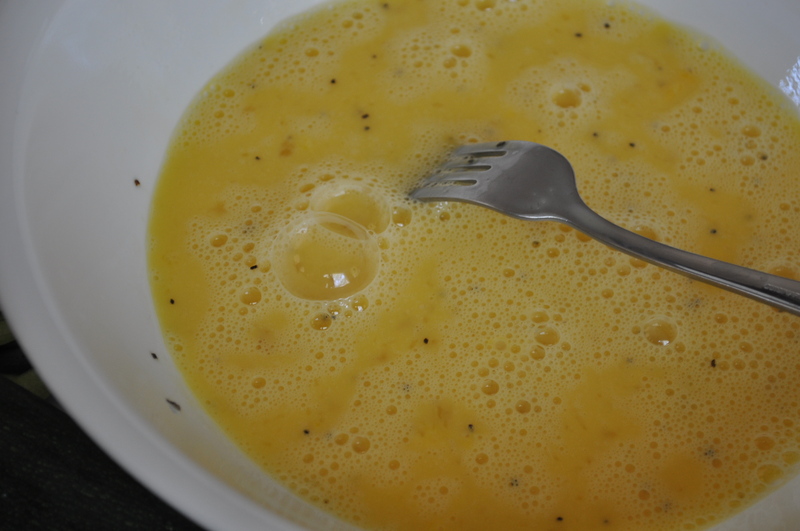 In a medium bowl, whisk the eggs with the milk, salt and pepper. Heat a heavy, non-stick oven-safe pan. Add the olive oil and butter and heat. Add the crushed red pepper. 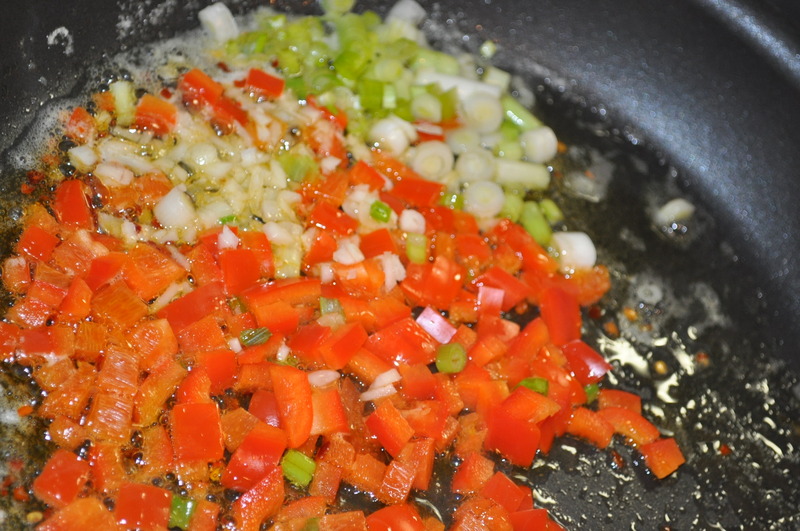 Now add the garlic, bell pepper, and the white part of the chopped green onions. Saute about 4 minutes till the bell pepper softens a bit. in the pan so that the eggs cook evenly. 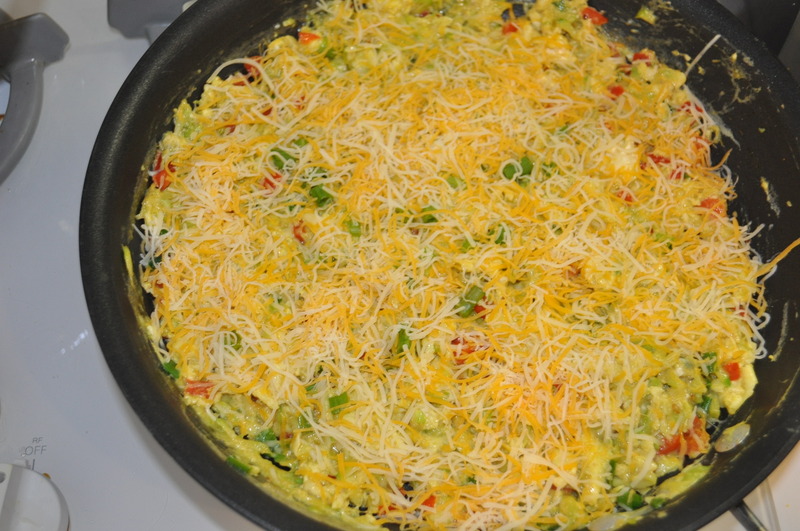 When the eggs start to set, add the shredded cheese and put under the broiler for about 3 -4 minutes. Broil till the cheese is melted or top is golden brown. Serve right out of the oven. 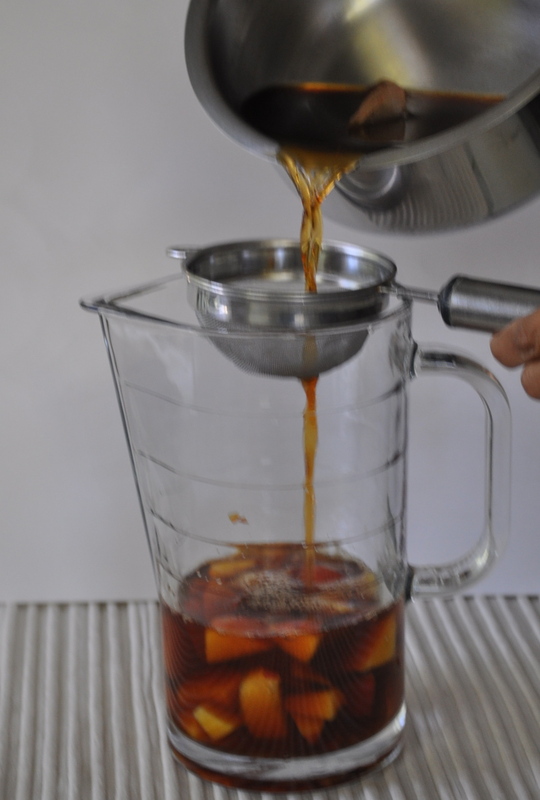 I have been waiting for a hot sunny afternoon to make a tall pitcher of iced tea. 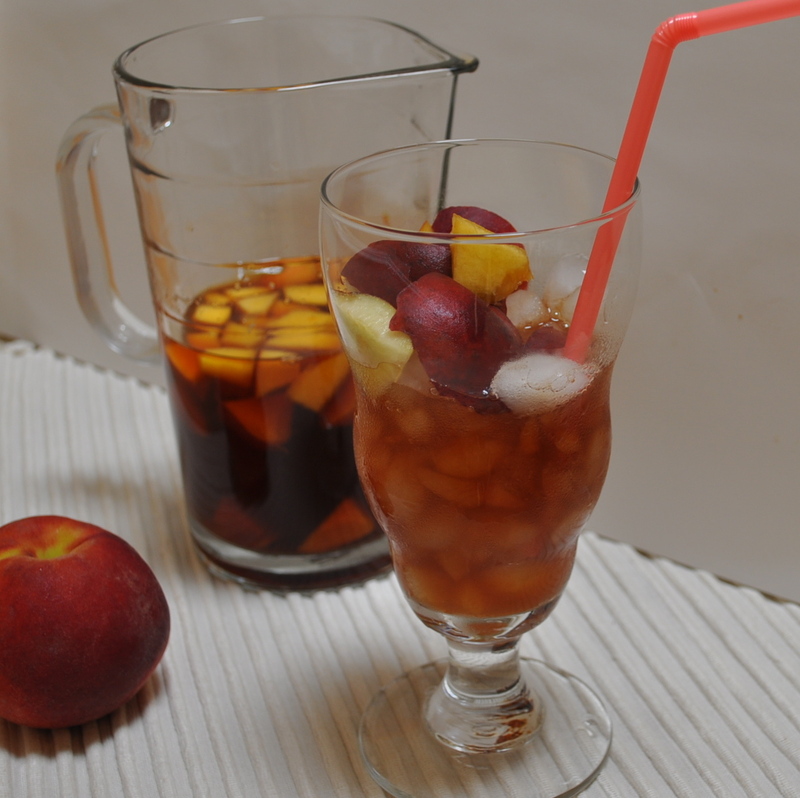 But with markets abundant with peaches and other stone fruit, I figured I HAD to make some peach iced tea, regardless of June gloom. Or July gloom. 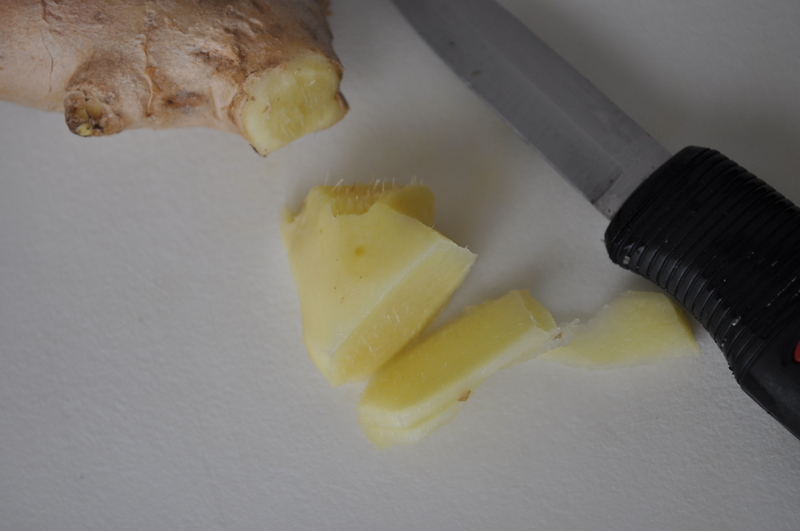 I also added some fresh ginger, because my sis called me in the middle of this, and thought I should …and so I did. It’s my touch of Indian, and I add it to my chai tea anyways, so why not in an iced tea? Who’s stopping me? 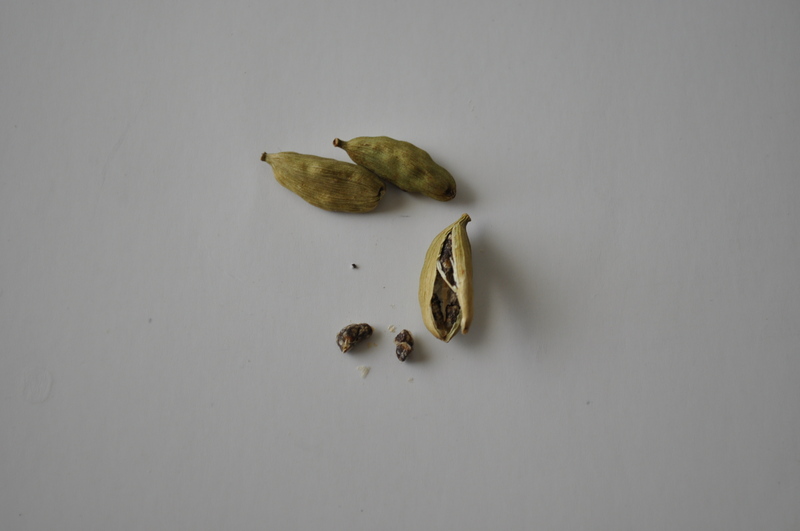 Remove the cardamom seeds from the cardamom pod, and crush them in a mortar and pestle. 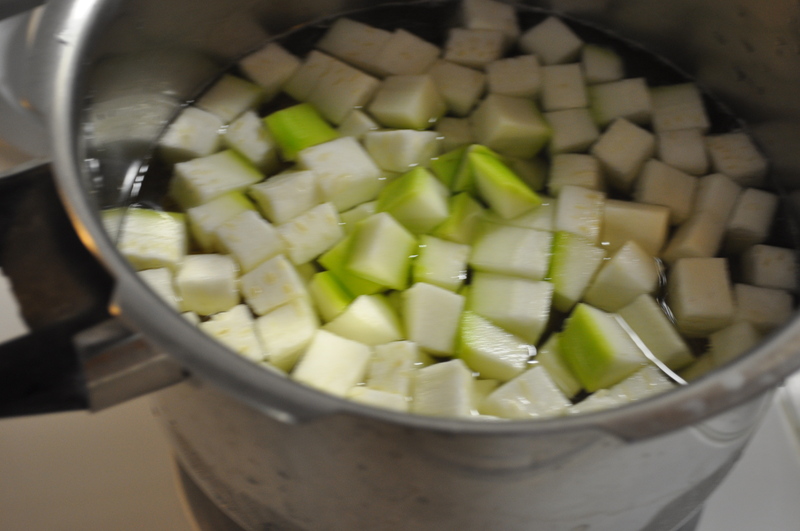 Boil gently for a minute, turn off the heat, and give the mixture time to do its thing. Completely cool to room temperature. 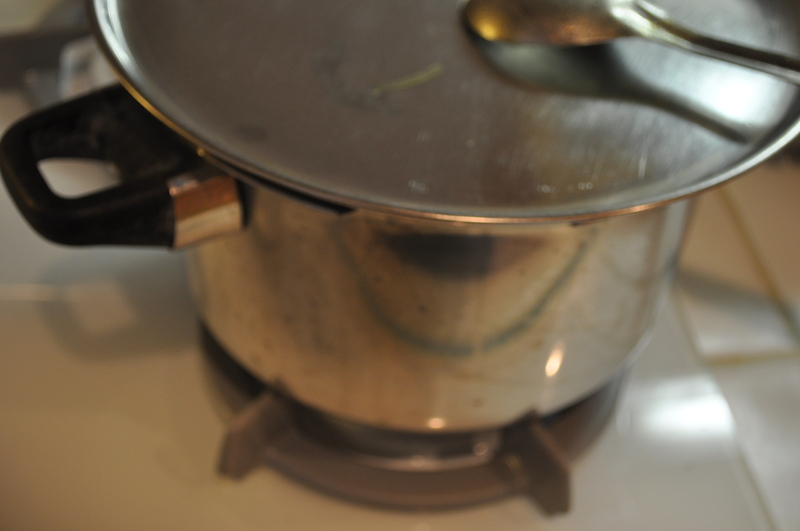 In a saucepan, boil 3 cups of water. 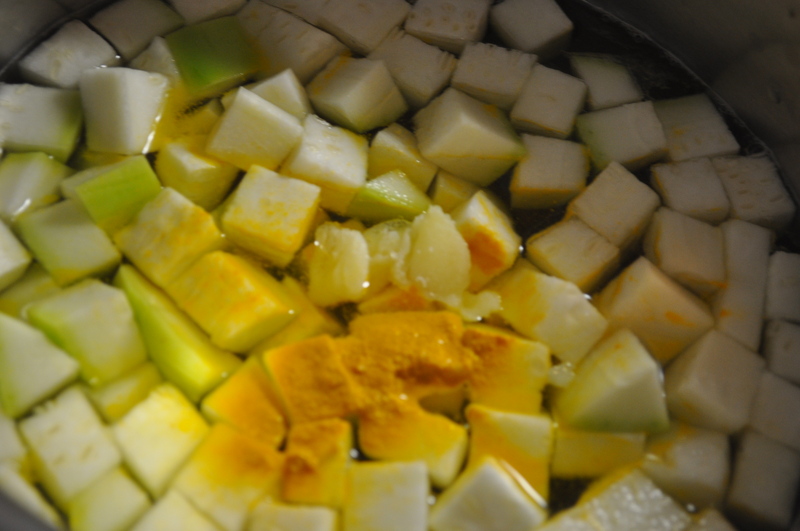 Add the crushed cardamom seeds, ginger and sugar and let this simmer for about 5 minutes. Then add the tea bags. Simmer for an additional minute, and then turn off the heat. Cool to room temperature. 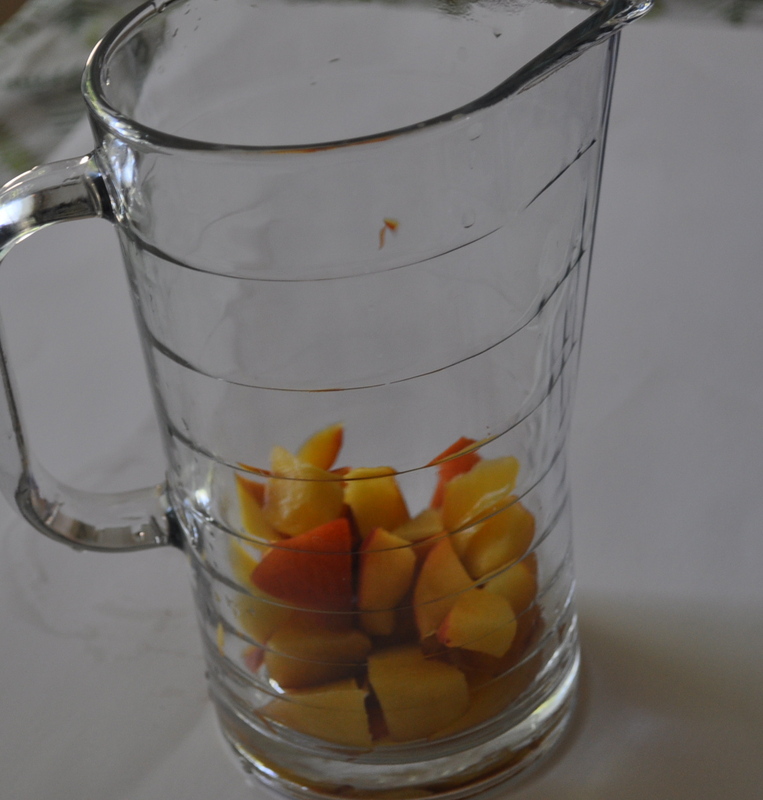 Chop the fresh peaches and add to a pitcher. 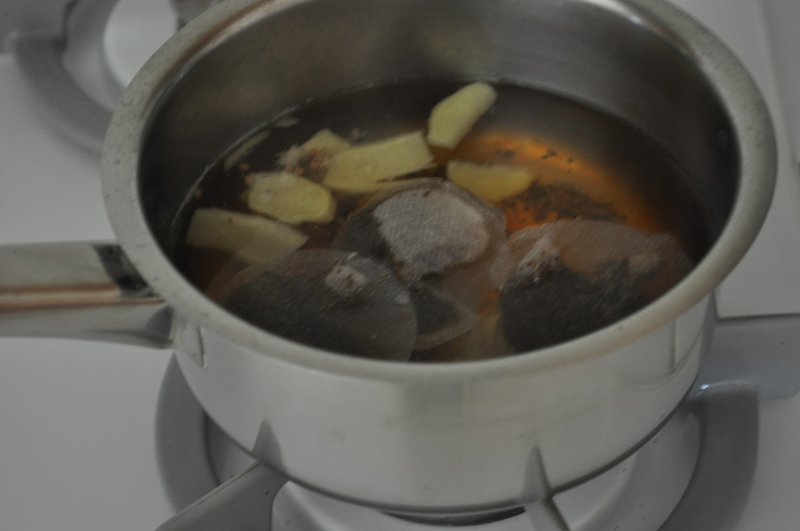 Then strain the tea mixture into the pitcher and refrigerate for at least 3 hours. 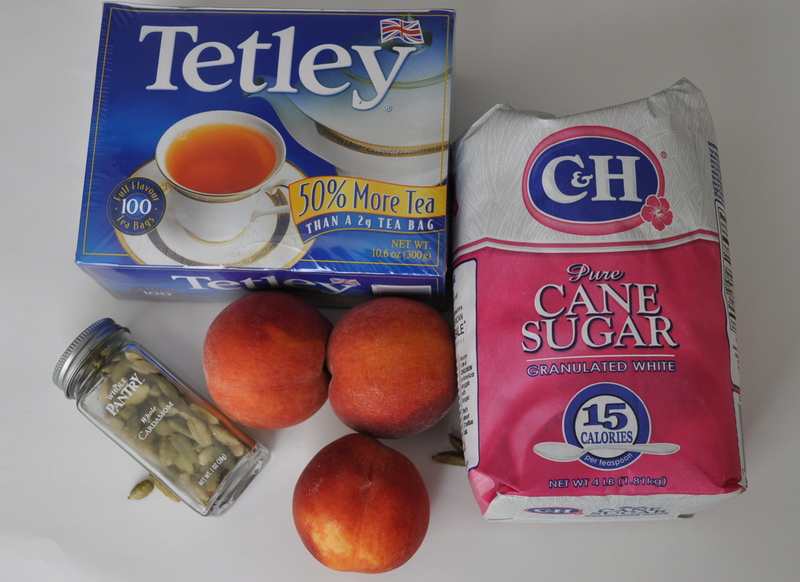 This allows for the peaches to infuse its flavor into the tea. When you are ready for your tall chilled glass of iced tea, simply add some crushed ice into your glass and pour the iced tea brew into it. 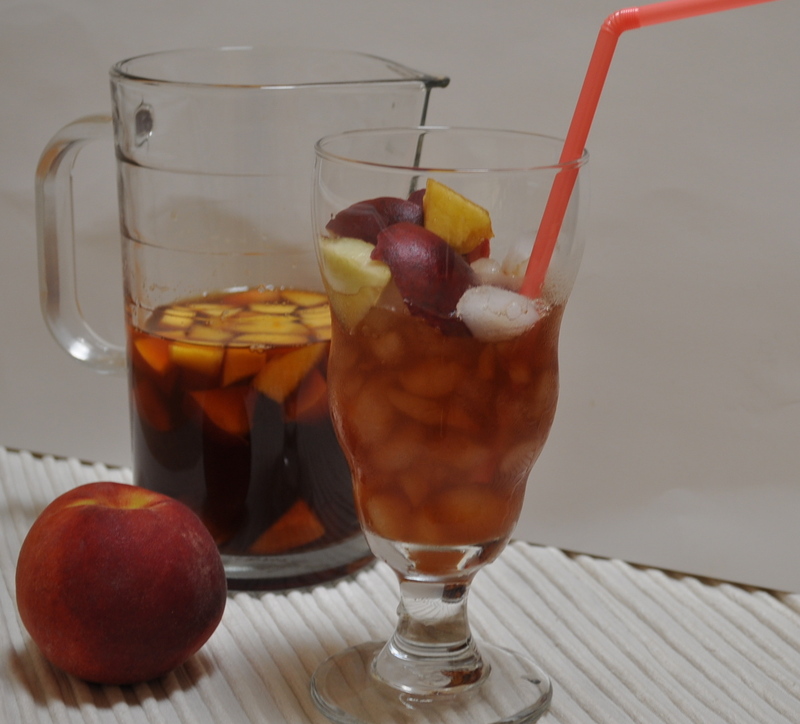 And voila, you have Peach Cardamom Iced tea. Completely refreshing, even on a ‘gloomy’ day! 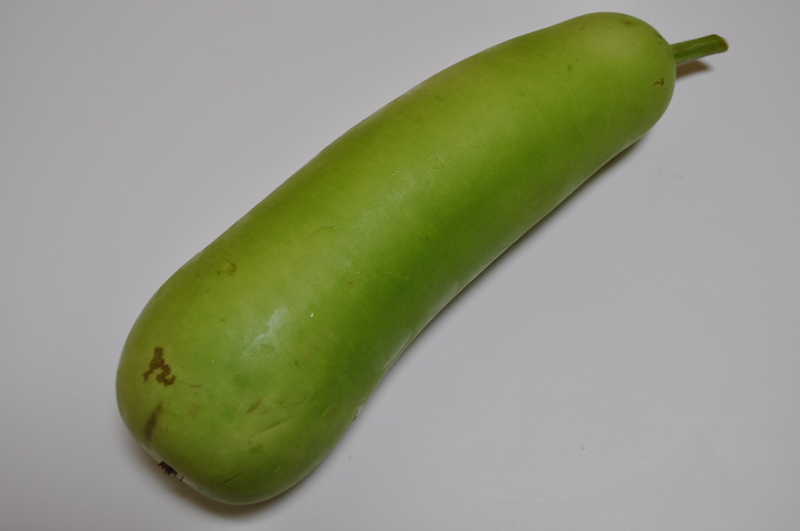 Chances are, if you are not from Asia, you have not had the opportunity to meet the Opo Squash. Now pair the opo squash with lentils and you’ve scored big time! All I need is some rice to go with it…And that is exactly, what I am doing today. 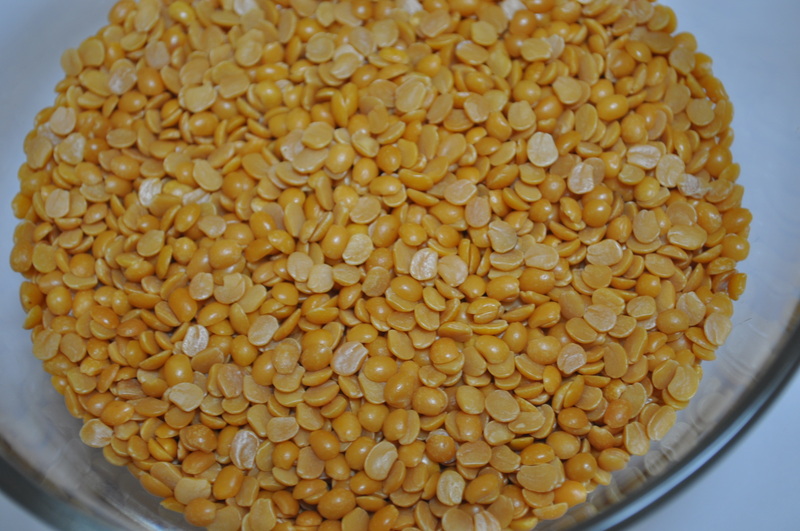 Making yellow lentils with opo squash or ‘toovar dal with dudhi/ghiya’. 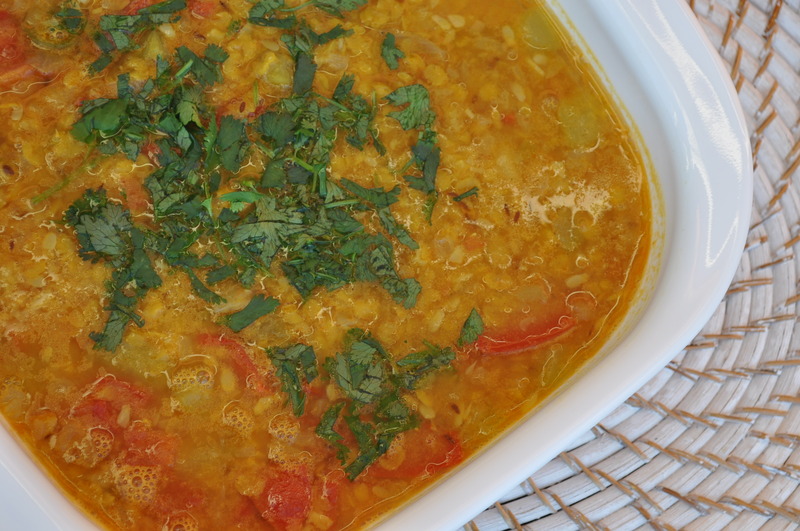 For this recipe, you need yellow lentils or ‘toovar dal’, which looks like this…. 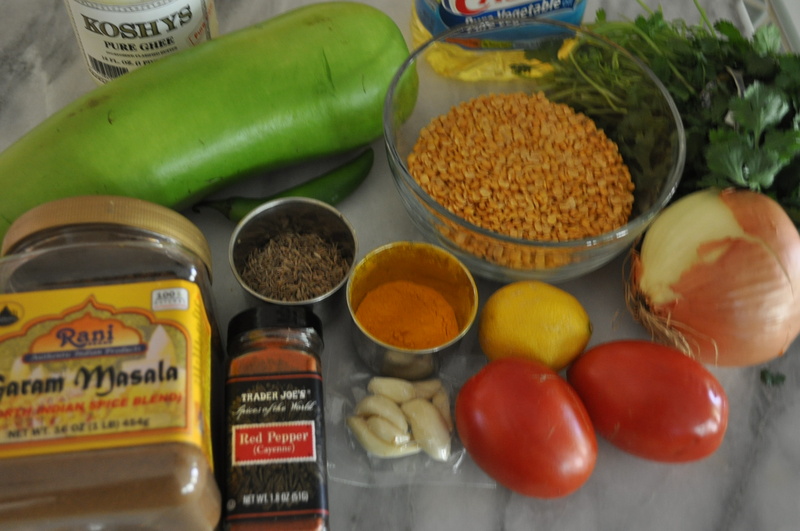 and opo squash, turmeric, cumin seeds, red chilli powder or cayenne pepper, garam masala, ghee or oil, serrano pepper, onion, cilantro, and lemon juice. 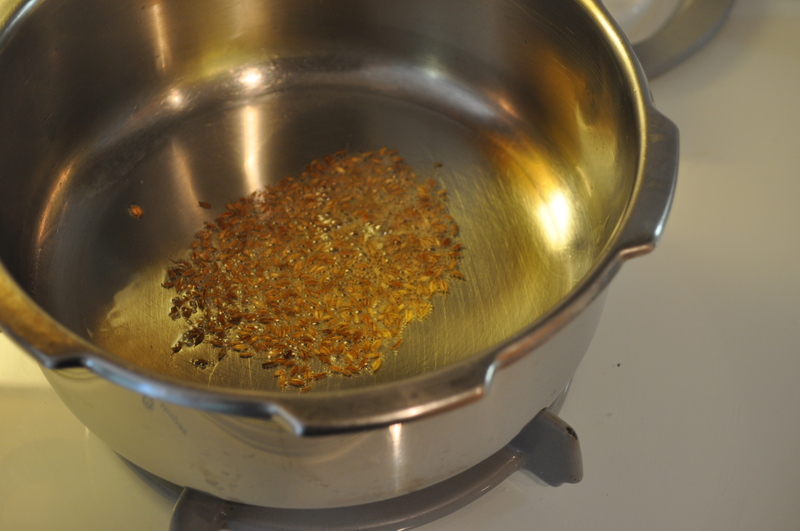 Rinse the lentils several times in water. Peel and dice the opo squash. I like to pick a small to medium sized opo squash because the seeds are still tender. If you have a large opo squash, I prefer removing the seeds. Just like you would remove the seeds from a cucumber. I usually cook the lentils with the squash in a pressure cooker, but if you do not have one, put the lentils and the squash in a heavy bottom pot. 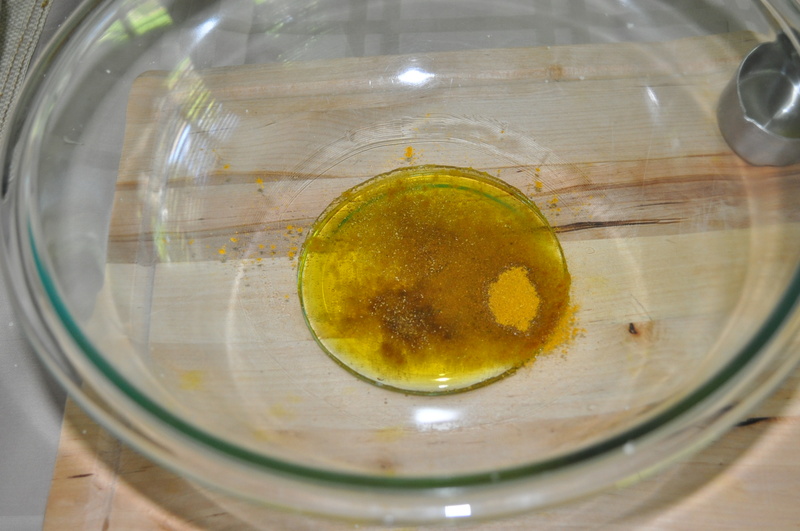 Add some turmeric powder and 1/2 tsp oil or ghee, some salt and let it come to a boil. Then simmer covered, till lentils are cooked. This should take about 40 minutes. 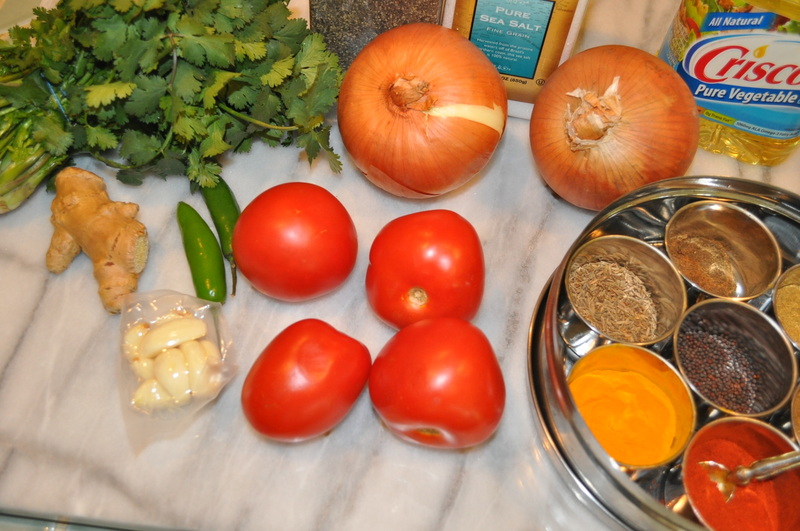 In the mean time, chop the onions and tomatoes, mince the garlic, chop the serrano pepper, and chop the cilantro. Maybe boil some rice on the side to serve with the lentils. I usually make a raita or yogurt based salad with the remaining opo squash. saute for about 3 minutes and add the red chilli powder/cayenne and garam masala powder, stir and cook for about 2 more minutes. This is now ready to be mixed into the lentils. The lentils should be cooked and look like this. Add some lemon juice and garnish with cilantro. 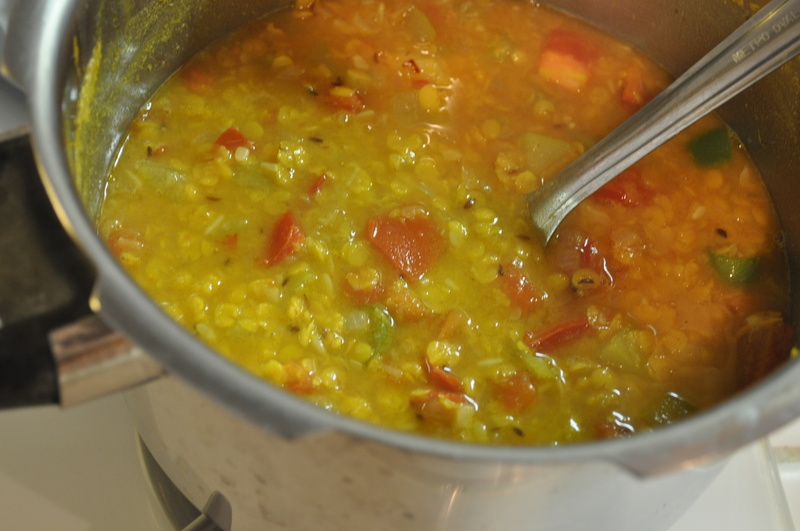 For vegan yellow lentils with opo squash, use canola or vegetable oil instead of ghee. 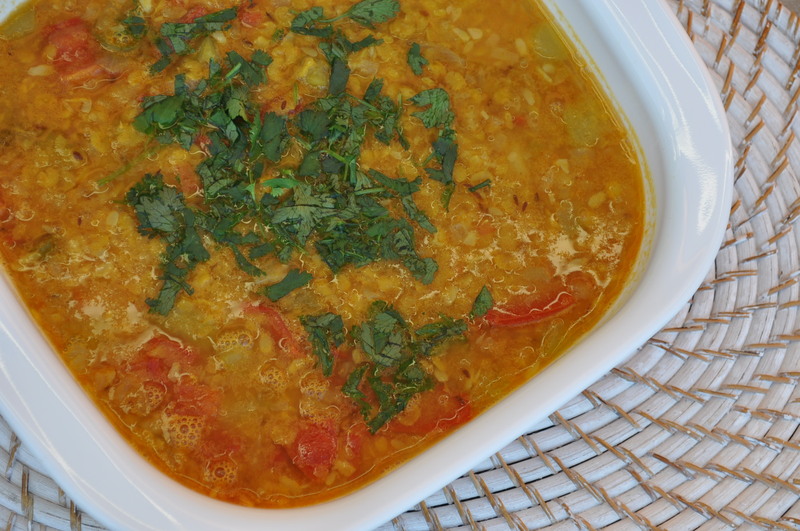 However, my mom always used ghee for making lentils and that is what I am sticking to! Wash, peel and dice the opo squash. 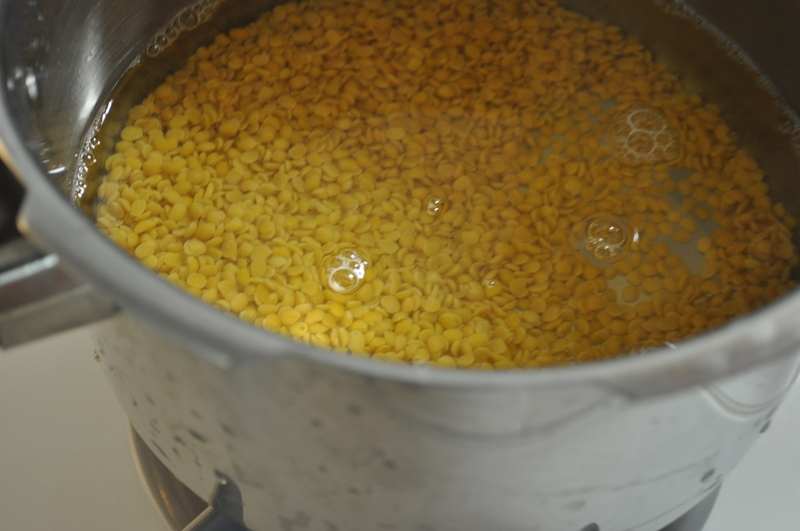 Rinse and drain the ‘toovar’ lentils about 3 -4 times. 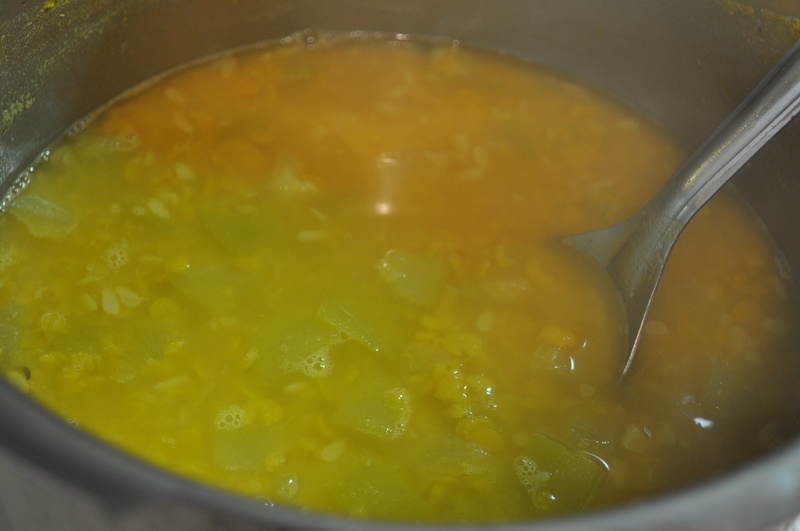 Add the water, the opo squash, turmeric powder and 1/2 tbsp ghee and let this mixture come to boil. 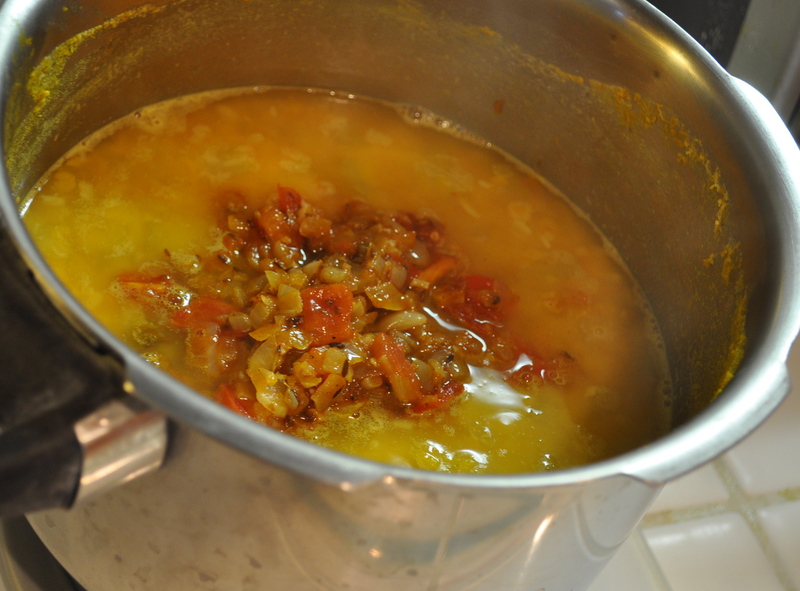 After it comes to a boil, cover the mixture and let this simmer till the lentils are soft. In the meanwhile, chop the onions, the serrano pepper, tomatoes, cilantro and garlic. 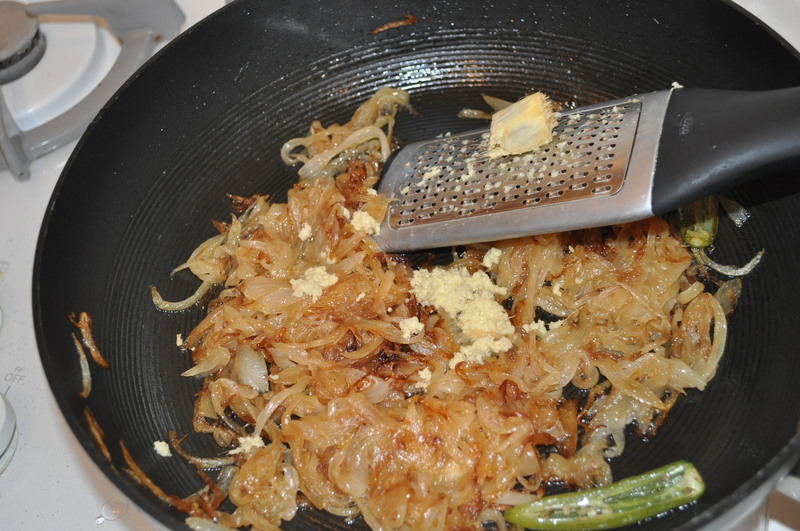 In a small heavy bottom pan, heat the remaining 1 1/2 tbsp ghee and add the cumin seeds. 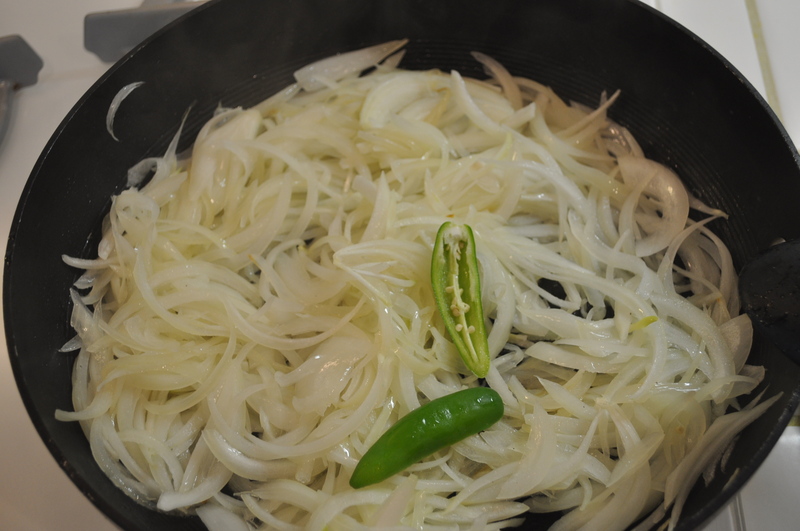 Let the cumin seeds sizzle before adding the onions. Saute the onions till they turn translucent, about 4 minutes, and add the garlic. Saute for about 2 minutes and add the tomatoes. After two minutes, add the red chilli powder/cayenne pepper and garam masala powder. Saute for two minutes and the mixture is now ready to be mixed into the lentils. 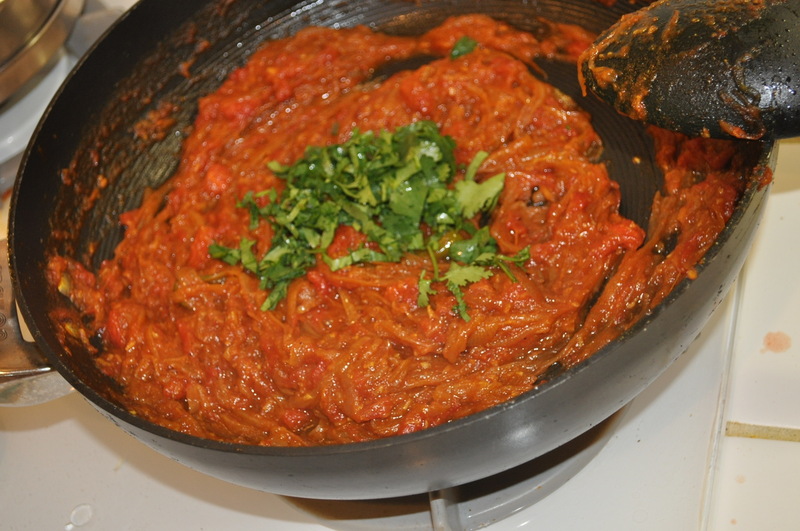 When the lentils are soft and cooked through, add some salt and pour the tomato onion mixture over. Mix gently and add the lemon juice and cilantro. 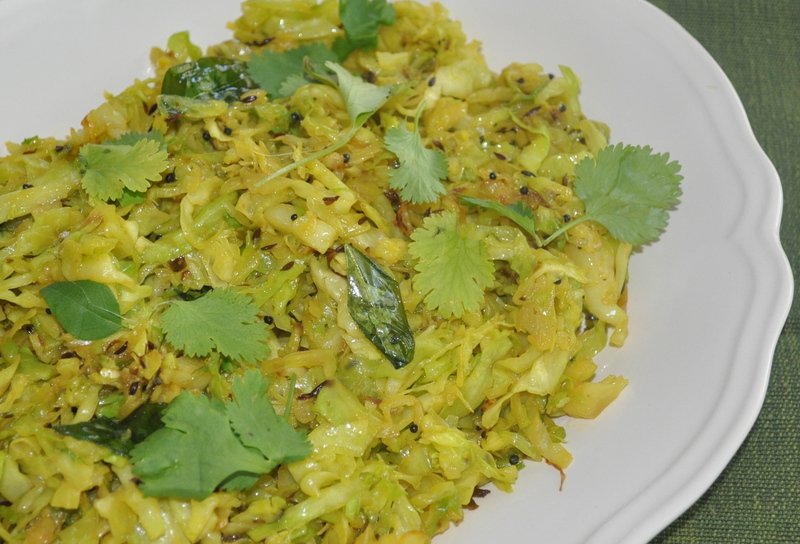 Serve with rice or ‘roti’ and any ‘raita’. What do I like about this salad? 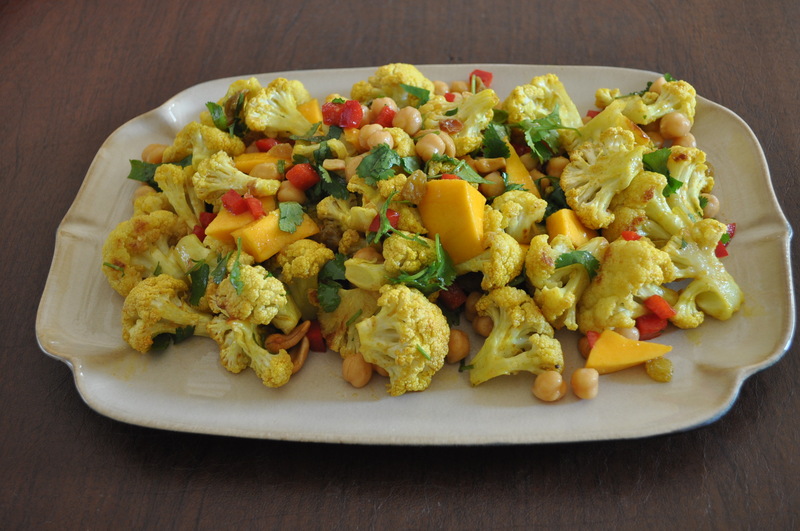 You need cauliflower, chickpeas, red bell pepper, mango, golden raisins, roasted cashews, honey or agave syrup, olive oil, curry powder, coriander powder, cumin powder, cayenne and cilantro. 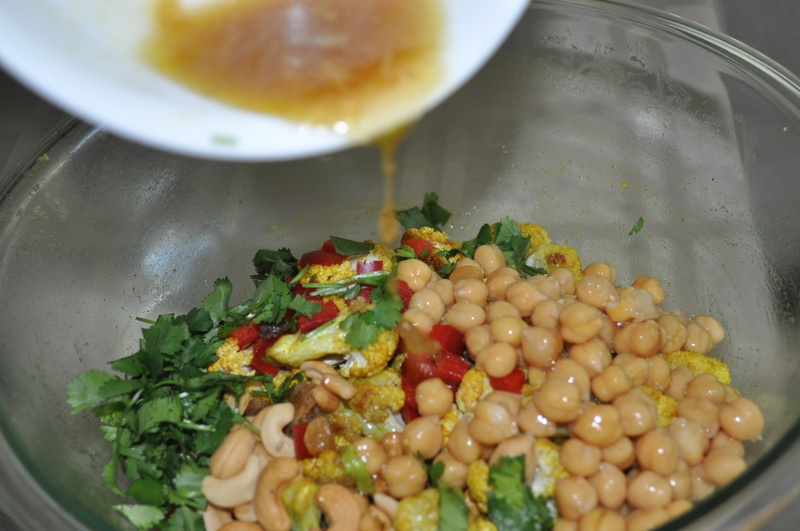 The chickpeas are missing because they were still in the pressure cooker. 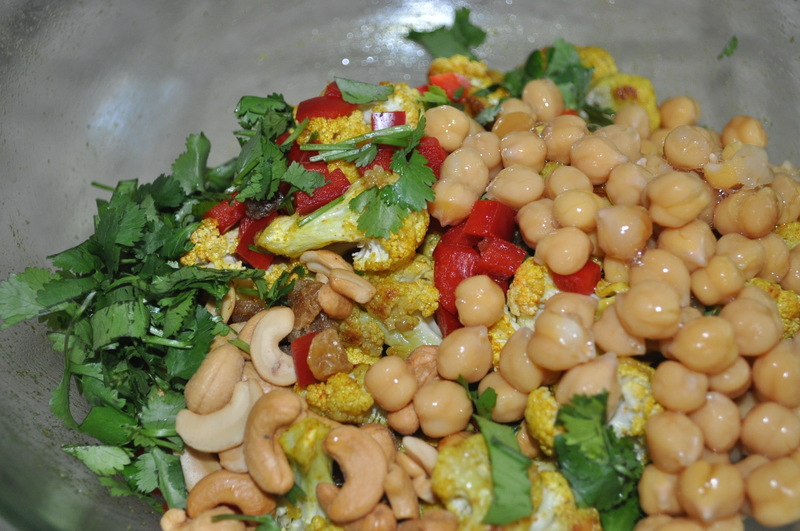 You need a can of chickpeas or about two cups cooked chickpeas. Essentially, there are two parts to this salad, roasting the cauliflower in the oven, chopping all the other ingredients and making a dressing. I think that is three parts! 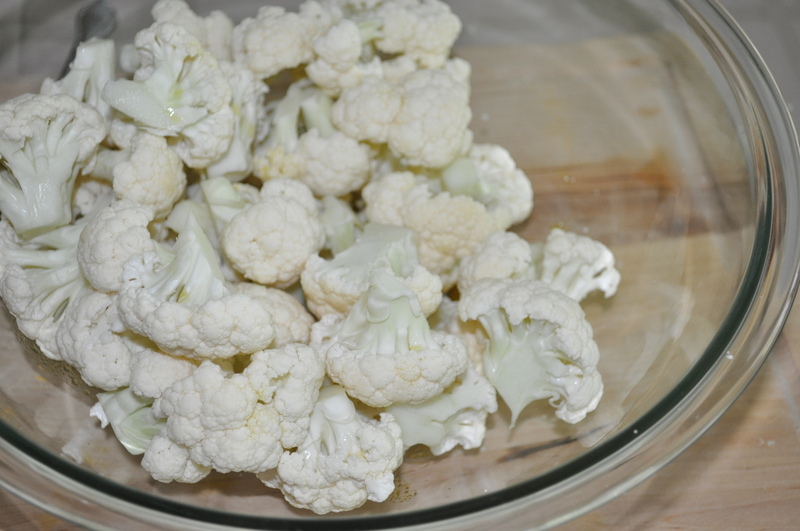 Anyways, cut the florets from one head of cauliflower into bite-sized pieces. 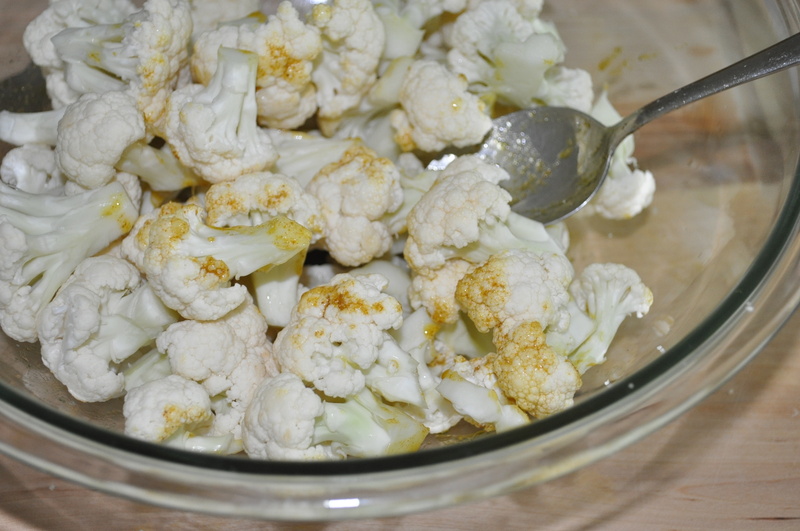 Make a dressing for roasting the cauliflower. 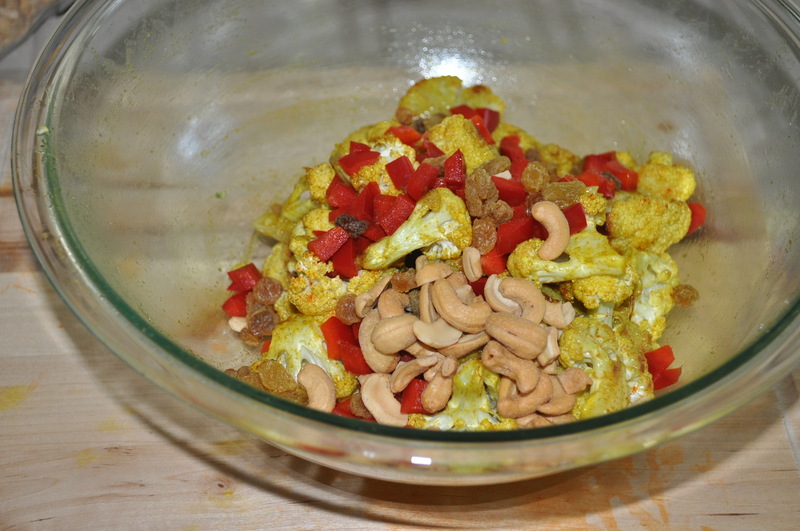 In a large bowl, add some olive oil, curry powder, cumin powder, coriander powder and salt. In the meanwhile, chop the bell pepper, cilantro, mango….You can leave out the mango, if you plan this as a make ahead meal. 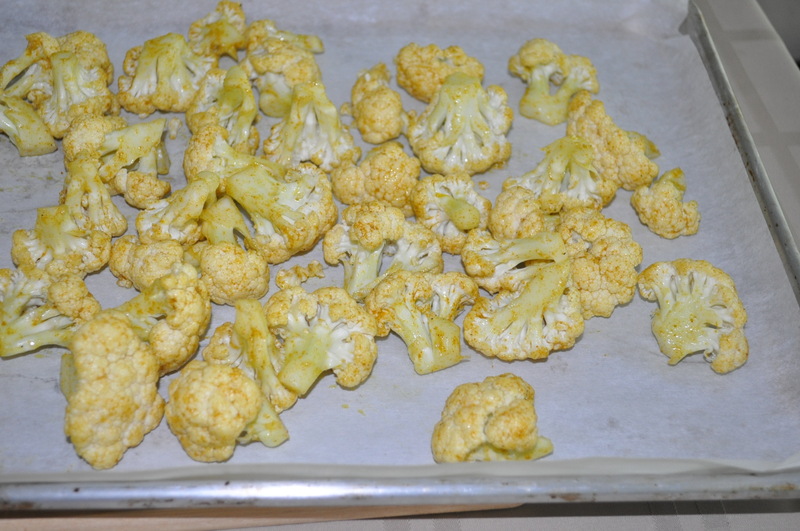 Your cauliflower is ready to be removed from the oven when it looks like this….It is a beautiful golden brown with a few crisp edges.. 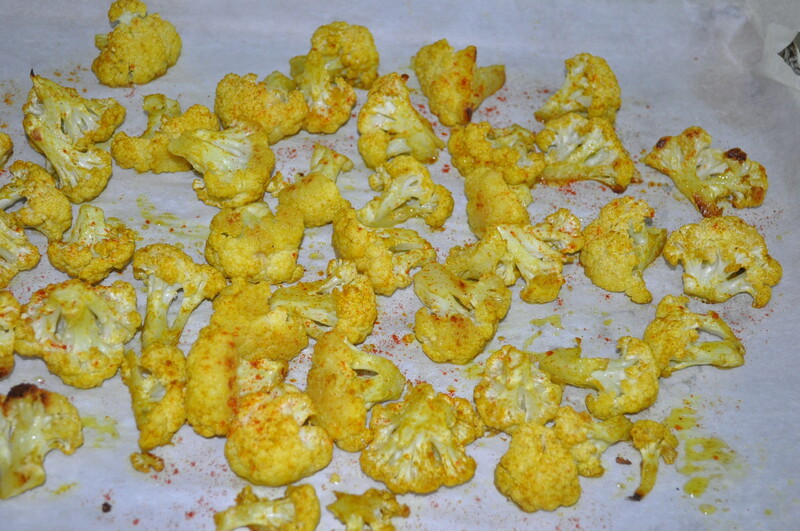 I sprinkle a little cayenne when it is still hot from the oven. 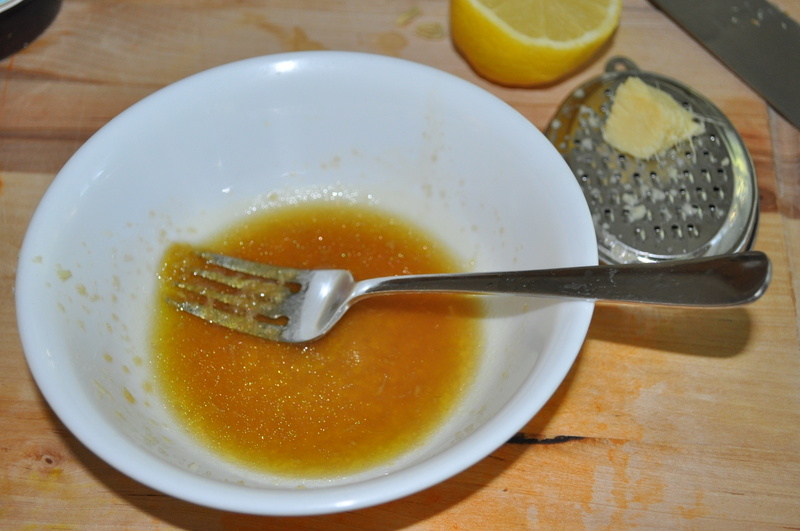 I do not add the cayenne to the marinade, because I think it burns easily and gets a bitter taste, so I wait for this exact moment to sprinkle some..
You have to let this cool down completely before mixing all the other ingredients. 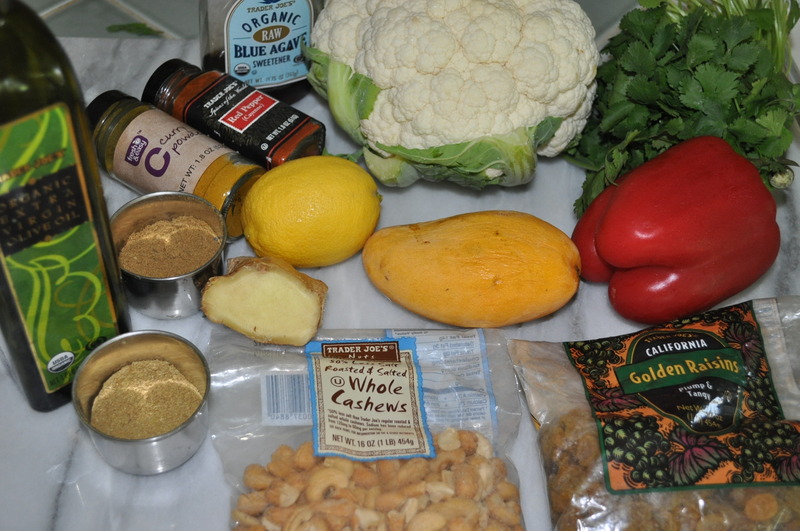 the cashews, the golden raisins…. 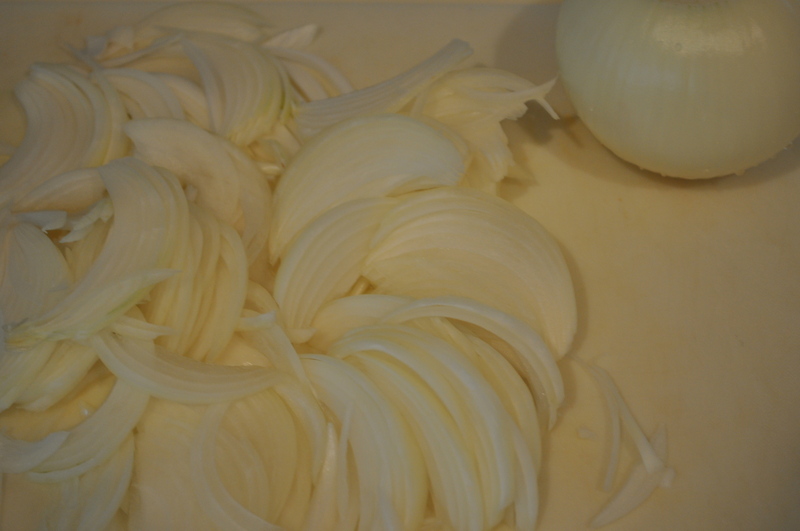 And toss everything…and let it sit for about 20 minutes for all the flavors to marry. Seriously hard to wait, but do it. I’ve got to tell ya, I am LOVING vegetarian food more and more each day. Especially when it tastes delicious and looks like this…. 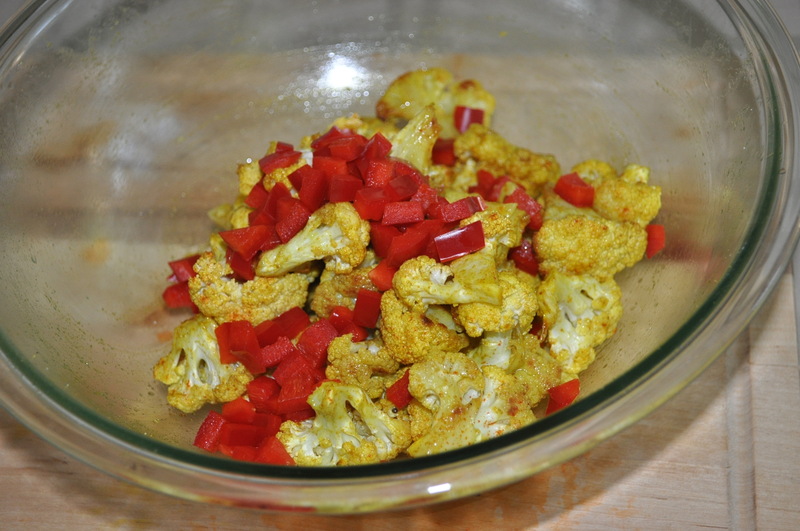 In a large bowl, add the cooled roasted cauliflower, and all the other ingredients. 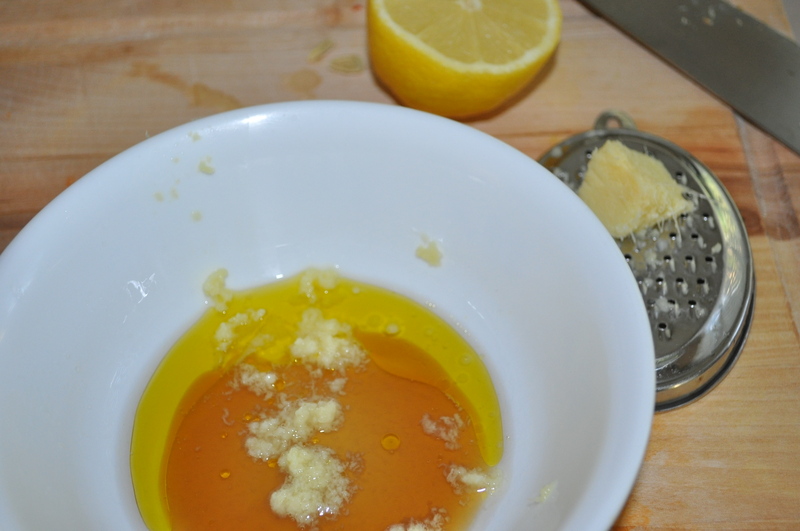 Whisk the olive oil, agave, lemon juice, ginger and salt . add to the bowl and toss. Let this sit for about 20 minutes. Garnish with cilantro and serve. 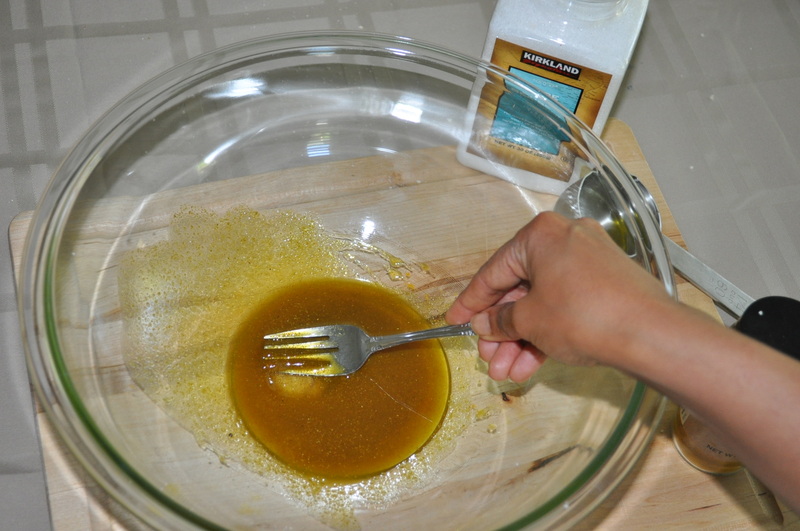 In a large bowl, whisk together the olive oil, curry powder, coriander powder, cumin powder and salt. add the florets and toss to coat evenly. 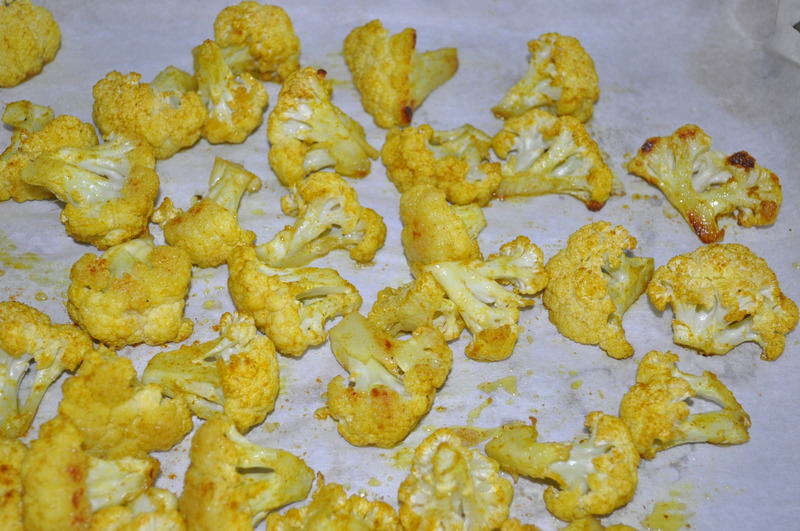 Spread this on the baking sheet and make sure not to crowd the cauliflower. 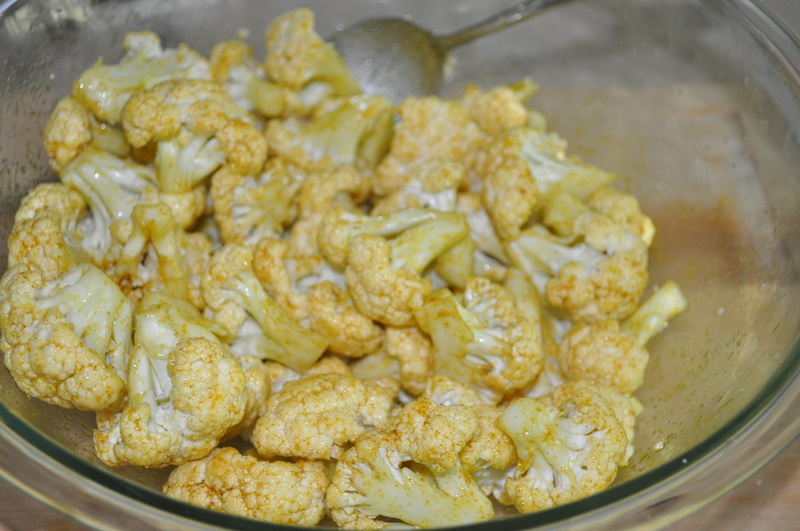 Roast the cauliflower for about 20 minutes, till it turns golden brown. ALAS! My child, where is the Pen? Whose Egg is mightier than the Pen! I love this poem! I love eggs! I love curry! And the mighty egg, is finding it’s way to an egg curry! This is what I had lying around…. Besides eggs, you need canola oil, onions, tomatoes, ginger, garlic, serrano pepper, turmeric powder, red chili powder, corriander powder, cumin powder, salt and pepper. 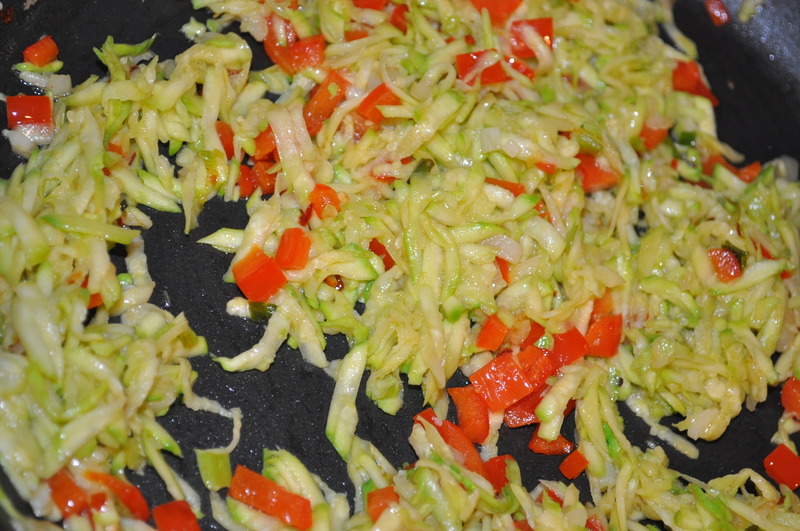 And saute these for about 10 minutes, stirring occasionally, and then add the serrano pepper. 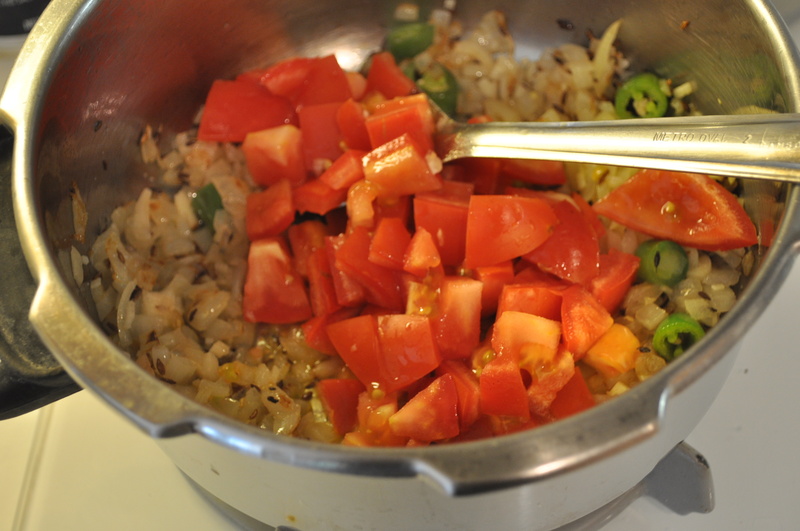 And saute for about five more minutes…In the meanwhile, chop the tomatoes. I like to use a serrated peeler to peel the skin off the tomaotoes, before chopping them. 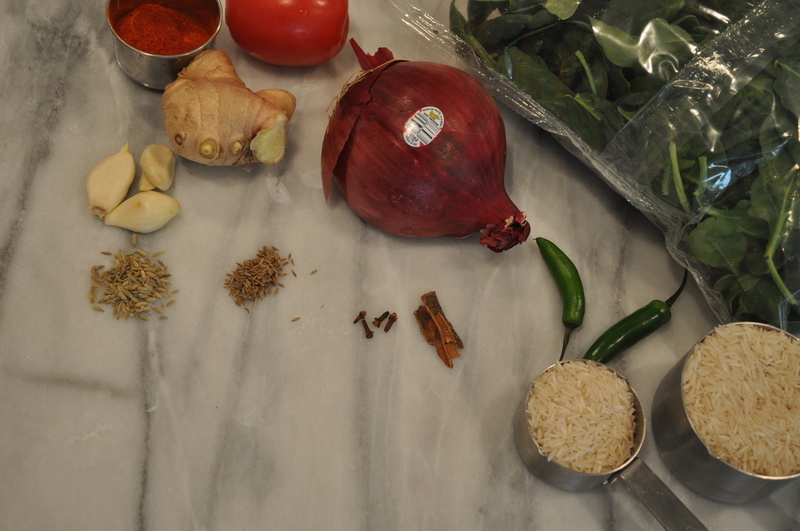 This gives a smoother texture to the curry and is totally optional. 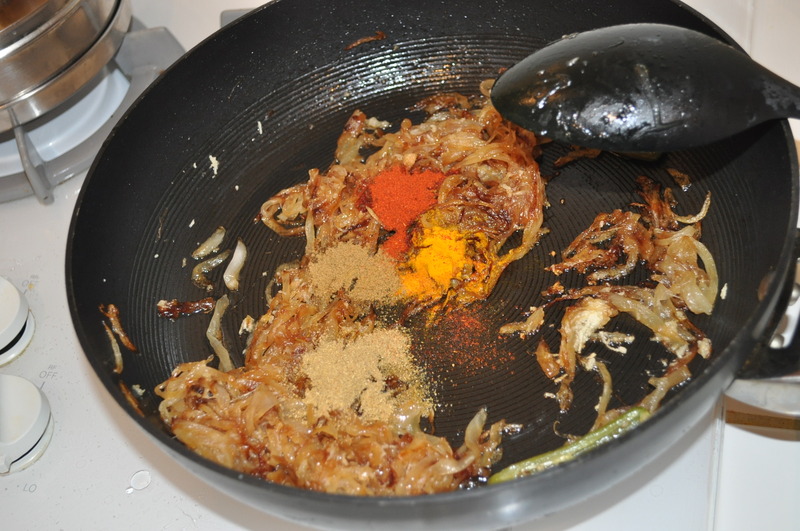 Now add the turmeric, red chilli powder, corriander powder, cumin powder…And that is just four ‘Indian’ spices my friends! 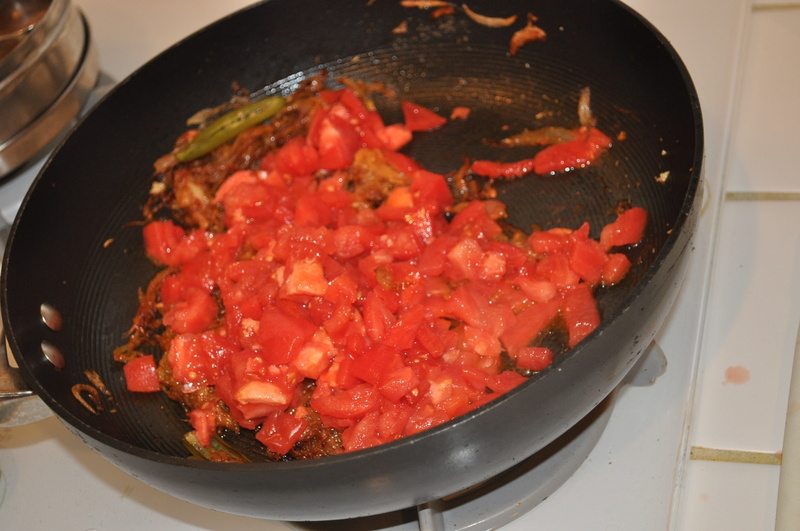 And slowly, but steadily your tomatoes are going to become one with the onions…Add some pepper and a dash of cinnamon powder. I know the cinnamon was not the original part of the plan but it lends a slight sweetness, so just a dash..
Somewhere between the browning your onions and cooking down the tomatoes, you need to peel your boiled eggs. 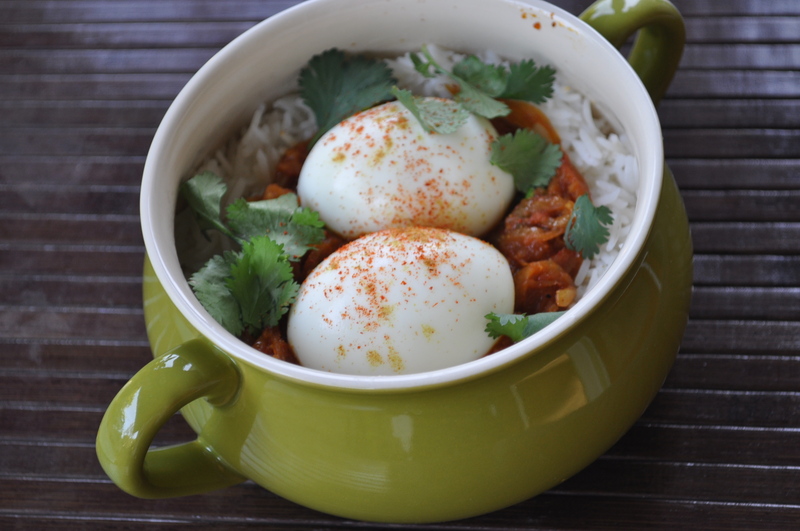 The only way I like my egg curry is with plain basmati rice. And I love to serve this in individual bowls. So what I do, is take oven safe bowls and layer the bottom with rice and then layer the rice with the gravy and then top with the eggs. And as always, I always garnish with fresh cilantro. 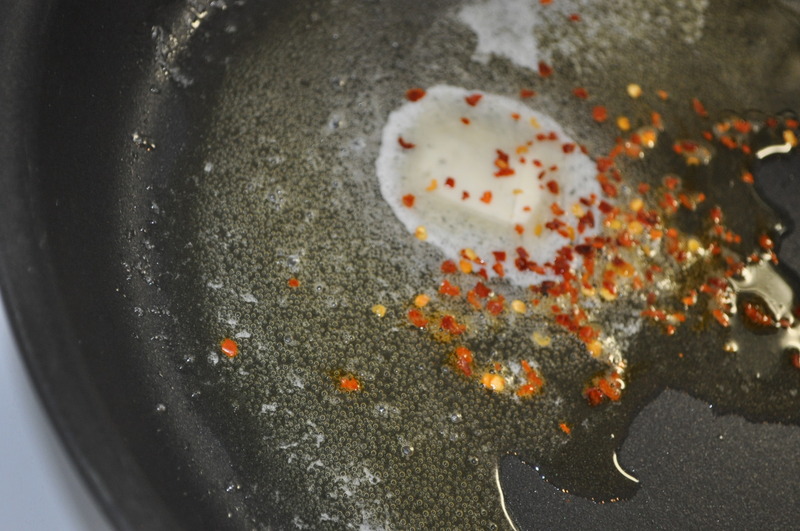 Heat the oil in a non-stick pan. 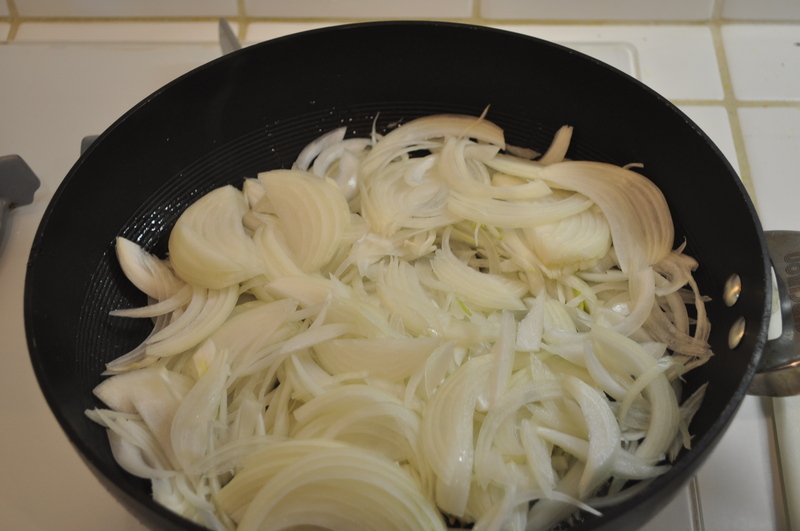 Saute the onions for about 5 minutes and add some salt and continue to saute for another 5 minutes. 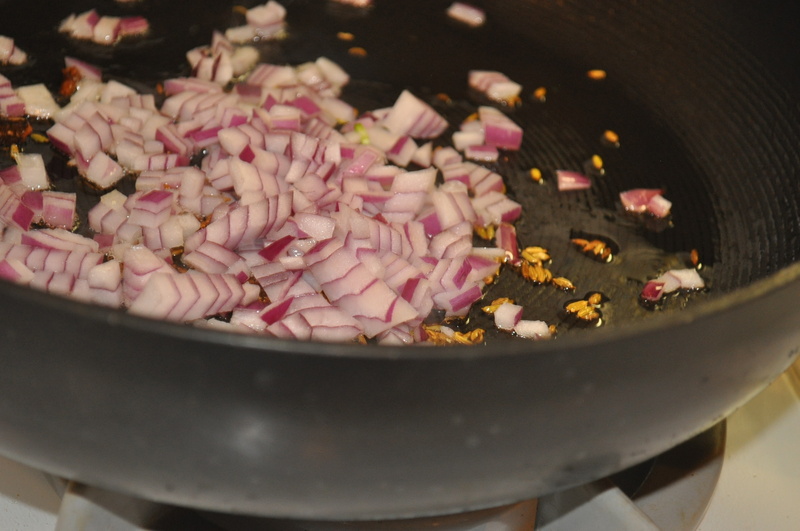 add the serrano pepper and saute for at least 10 minutes till the onions start to brown. 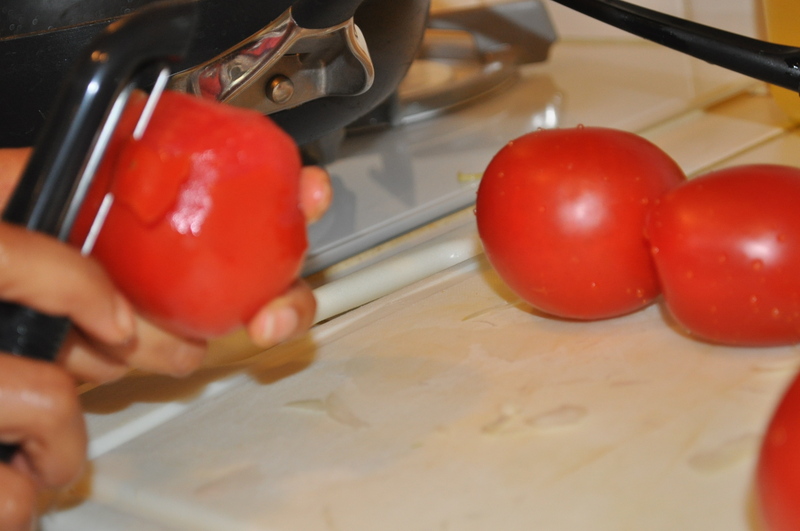 Peel the skin of the tomatoes with a serrated peeler and chop the tomatoes. keep aside. 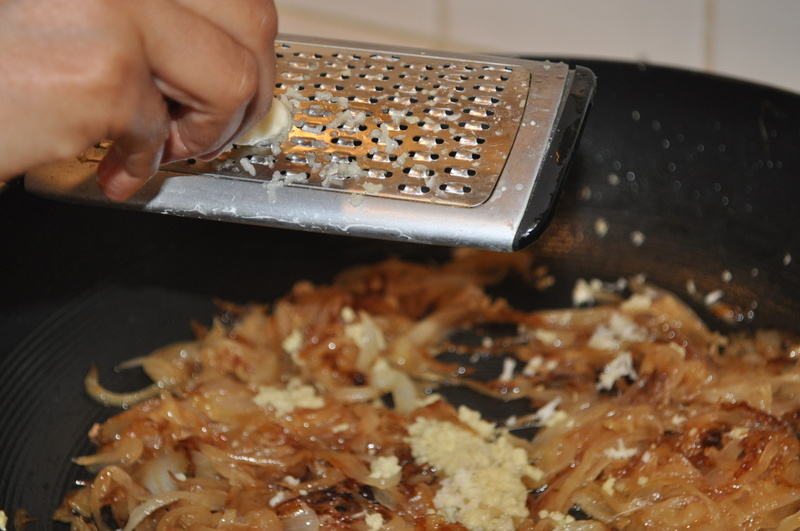 Using a handheld grater, grate some ginger and garlic into the onions. Saute for 2 more minutes. 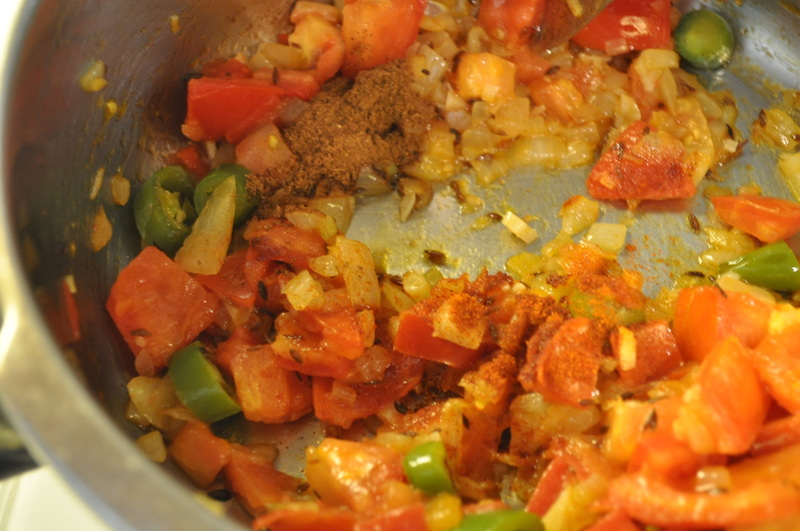 Add the turmeric, red chilli powder, cumin powder and coriander powder, and saute for two more minutes. 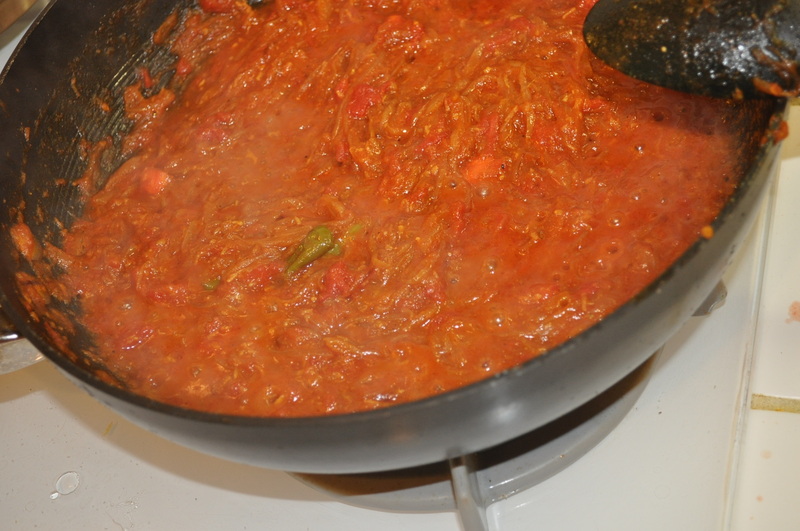 Now add the tomatoes and cook the tomatoes for another 10 minutes. Add some salt, pepper and a dash of cinnamon powder. 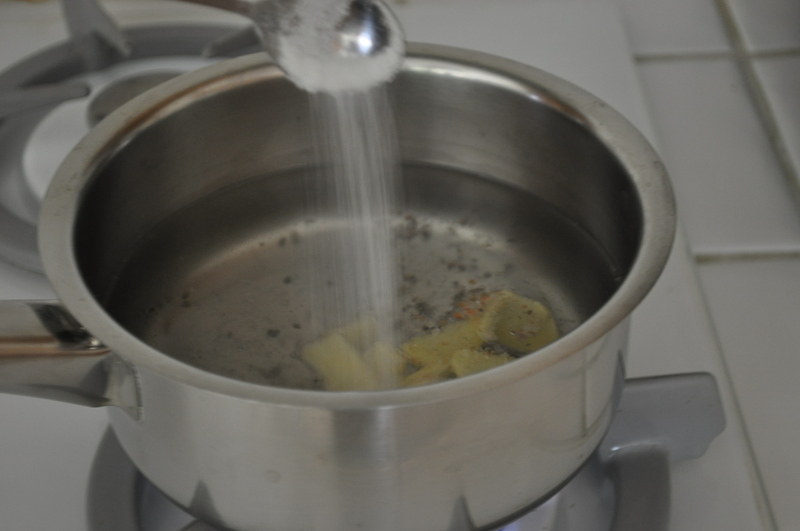 Continue cooking for 5 minutes and add about a cup of water and mix. Let this reduce. In the meanwhile, peel the boiled eggs. 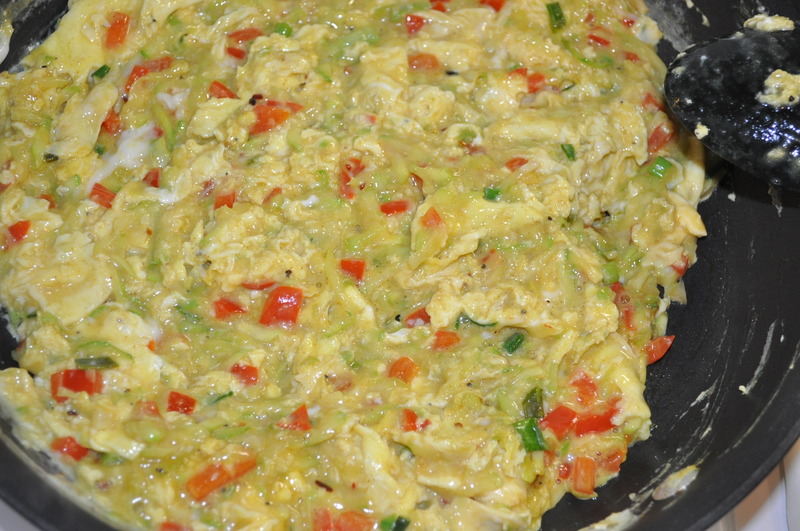 Add the boiled eggs to the gravy/curry and garnish with cilantro. Serve hot with rice. 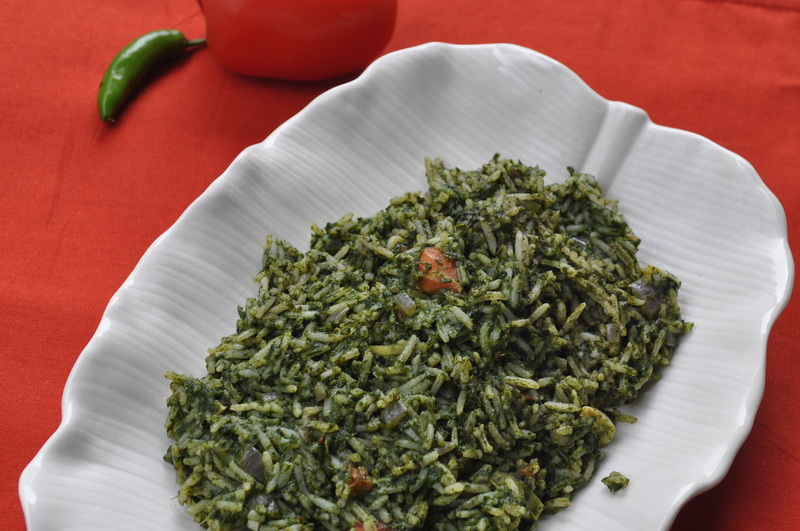 All you need is basmati or long grain white rice, spinach, tomato, onion, cumin and fennel seeds, cloves, cinnamon stick, some ginger and garlic, serrano pepper and red chilli powder, and salt and some oil. 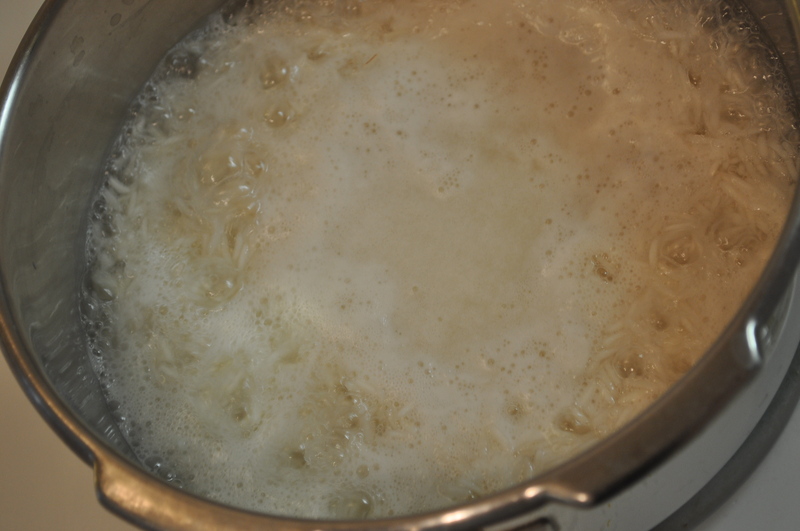 If you do not have leftover rice, boil some…. 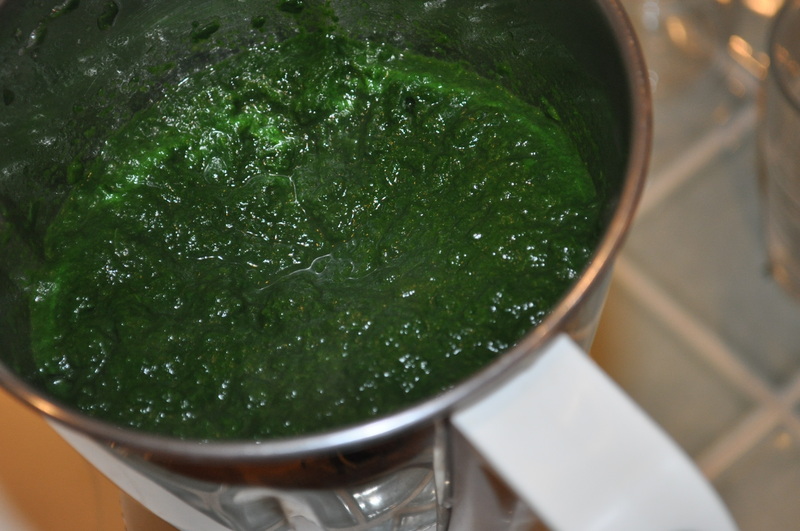 Drain the spinach, cool it and coarsely grind it in a blender. Heat just for about 20 seconds and add the onion. Saute on a medium high flame for about 2 minutes and add the ginger…which you should have cut into slivers earlier or minced finely. 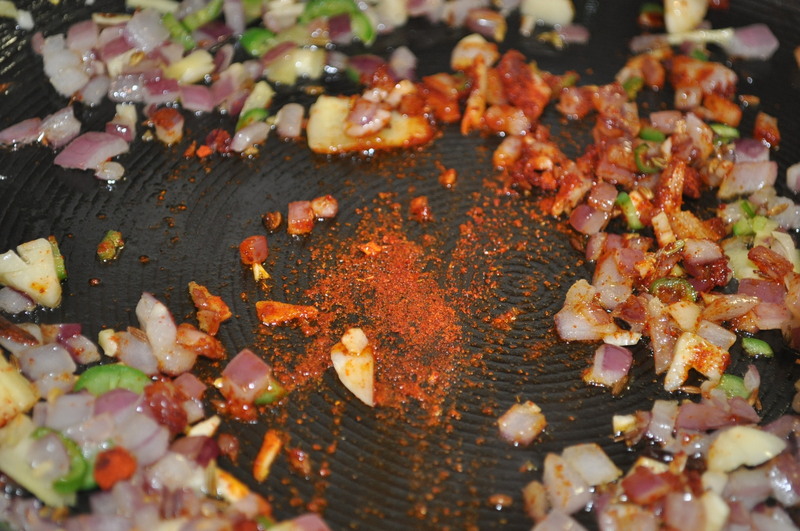 Then add the red chilli powder..
Add some salt and mix…And allow flavors to mingle for a bit..
and then add the rice. 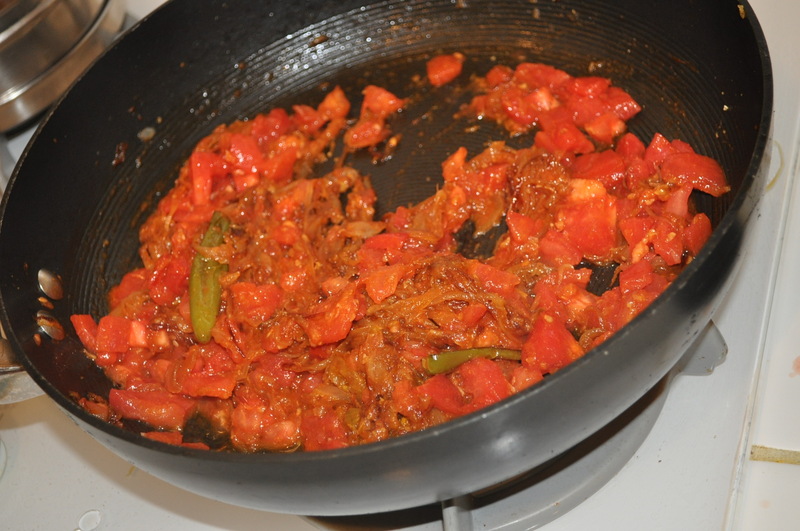 Mix well and cover with a lid and cook on small flame for about 7-10 minutes. Serve hot with a raita or pickle. Cook the rice according to package directions till just done. 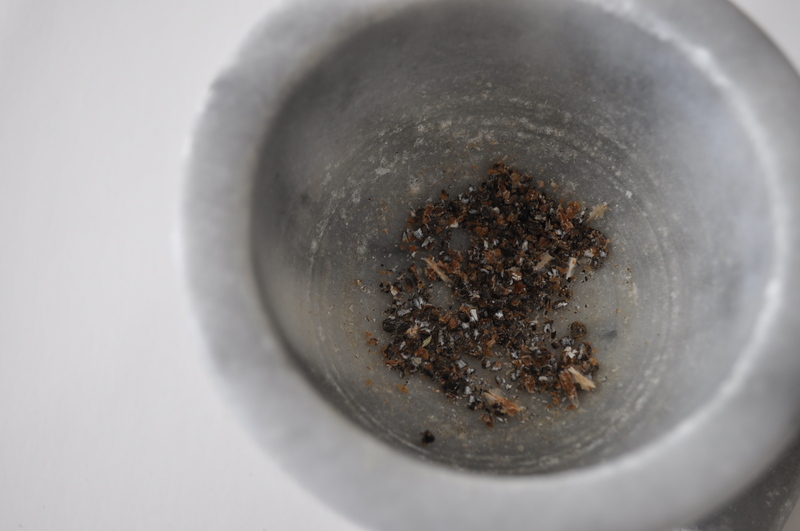 Do not overcook the rice. 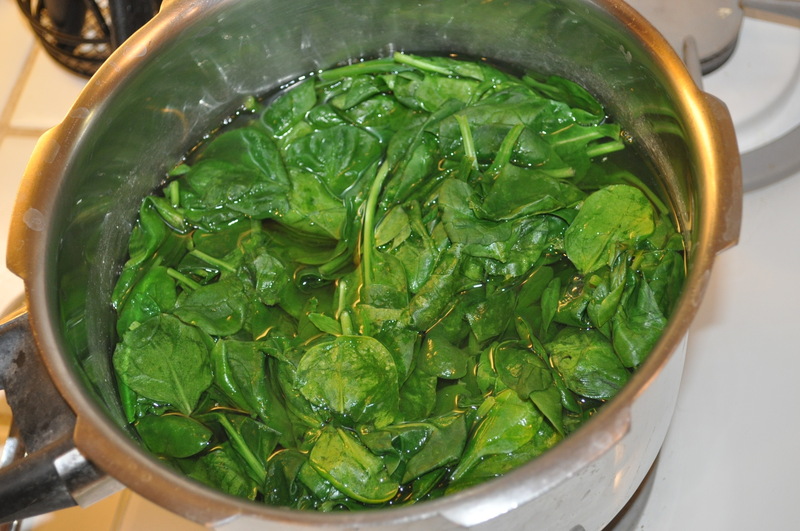 Blanch the spinach :- In a large pot, boil water and drop spinach in boiling water for about 1 minute. Drain. 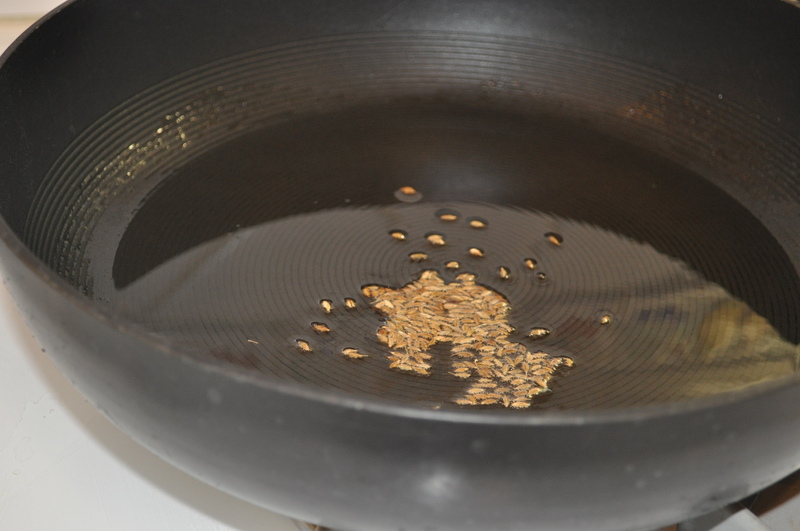 Heat the oil in a large heavy bottom non-stick pan. 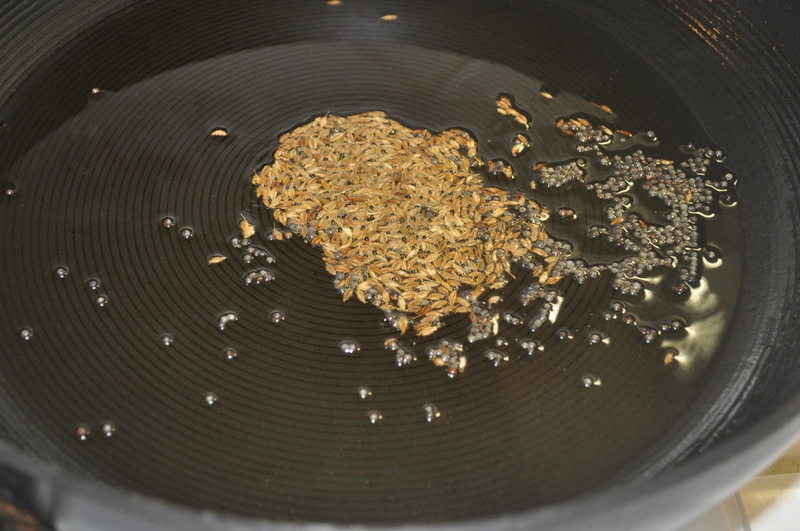 Add the cumin seeds and after a few seconds add the fennel seeds, cloves and cinnamon stick. 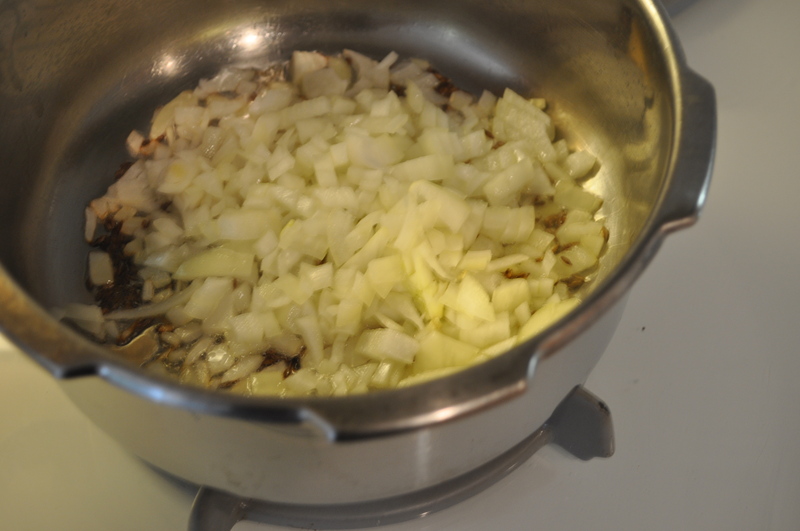 Heat for about 20 seconds and add the chopped onion. 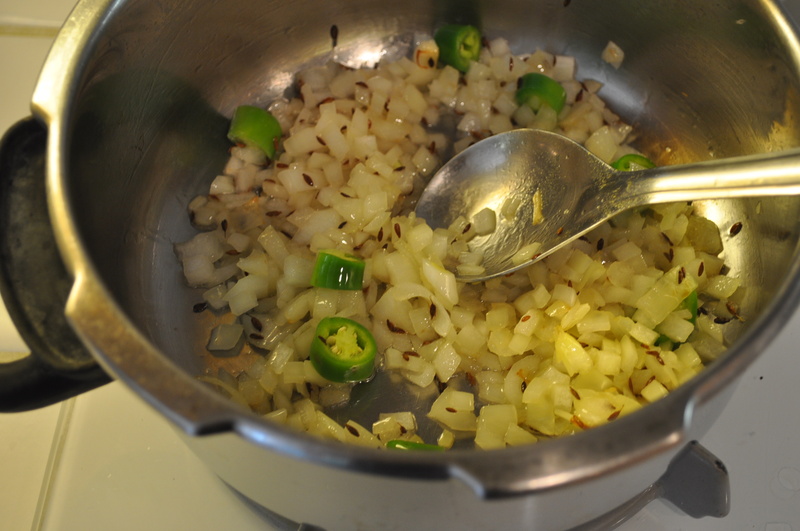 Saute for about 2 minutes and add the serrano pepper, garlic. saute for about 2 minutes and add the chilli powder. 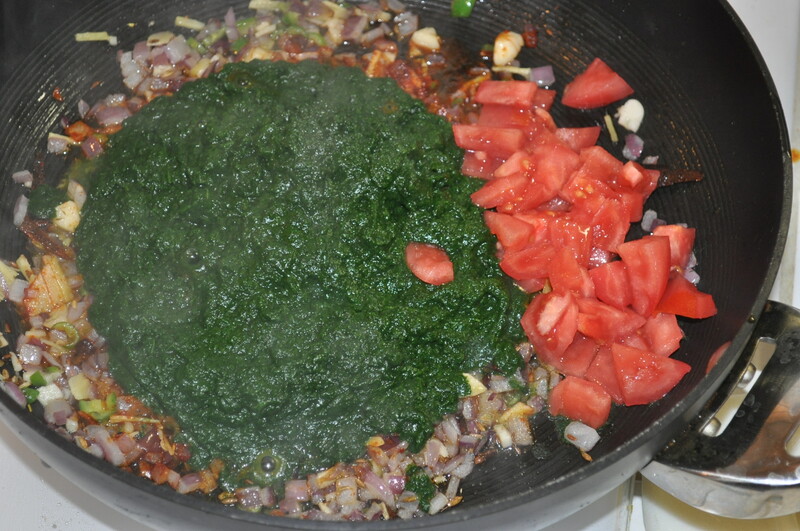 Then add the spinach, tomato and some salt. Mix this well and add the rice. 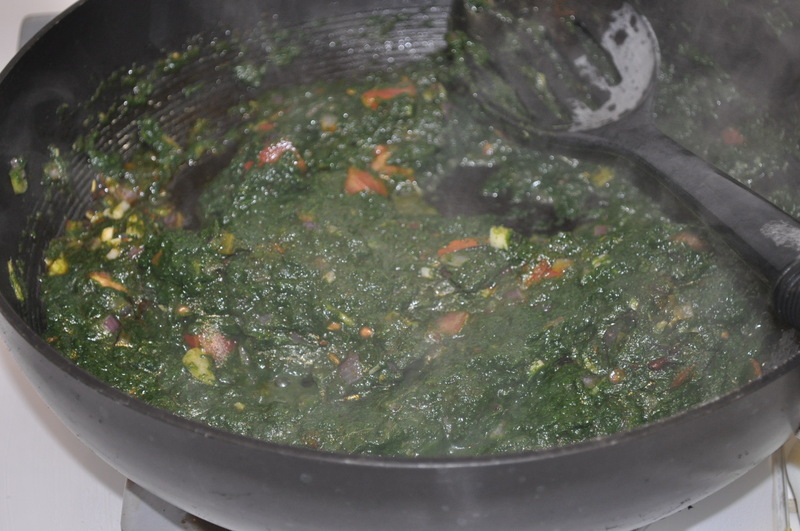 Gently mix the rice with the spinach mixture. Cover the pan and let this simmer on a low flame for about 10 minutes. Serve hot with plain yogurt, or raita and pickle.